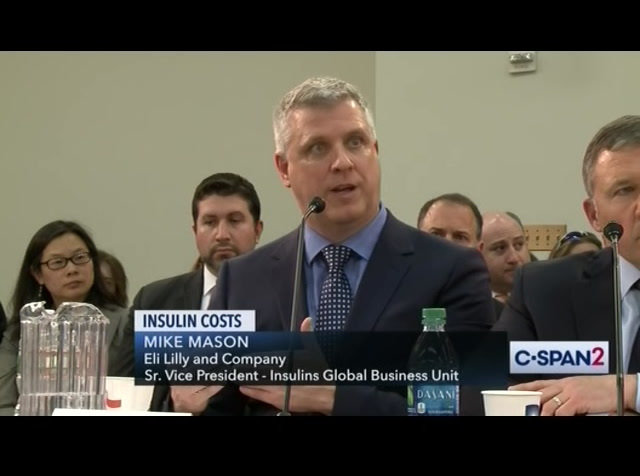 insulin prices are going up, members questioned executives from eli lilly and other pharmaceutical companies as well as drug stores like cvs . 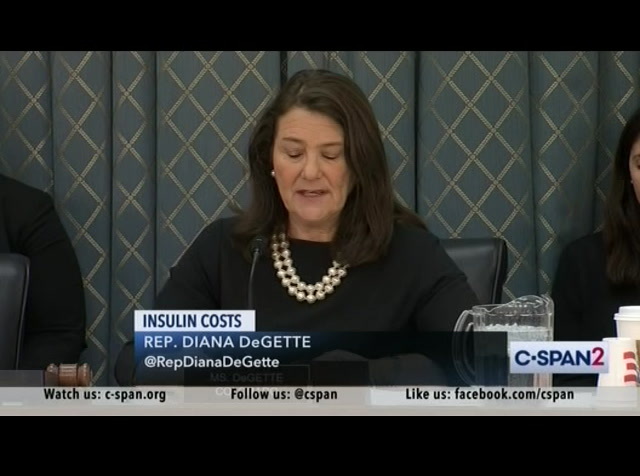 diana get chairs the subcommittee. 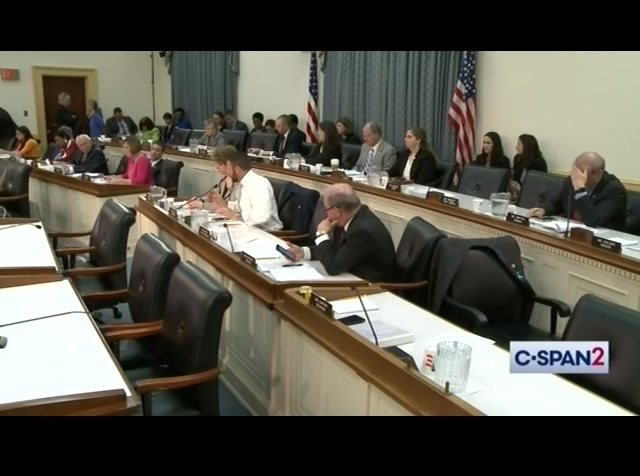 >> the subcommittee on oversight and investigation hearing will now come to order. 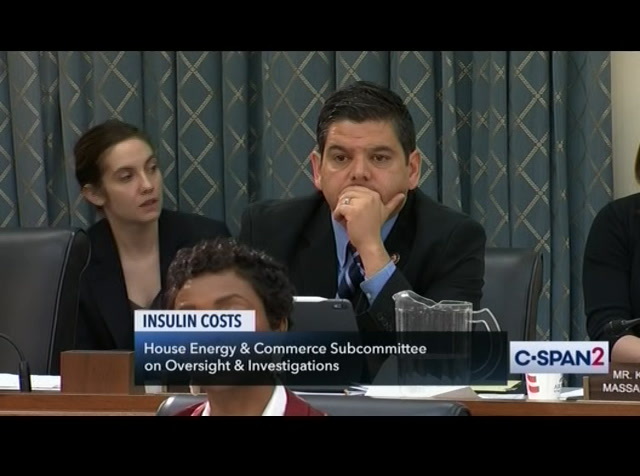 today the subcommittee on oversight and investigations is holding a hearing entitled price of a life-saving drug, getting answers on the rising price of insulin, this is the second part of the hearing examining insulin affordability and the ensuing health colleges that affect some patient lives. 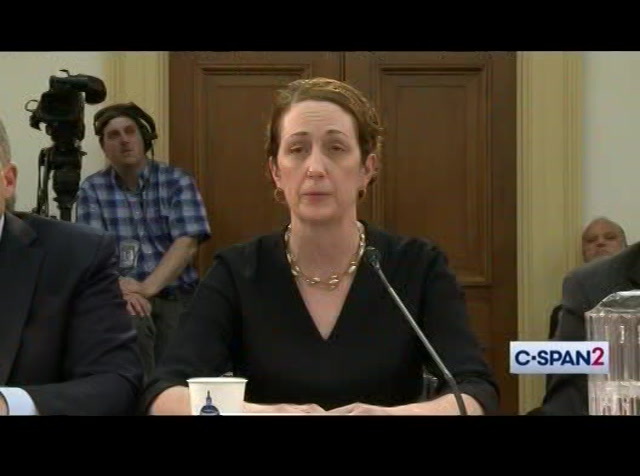 the chair recognizes herself for the purposes of an opening statement. 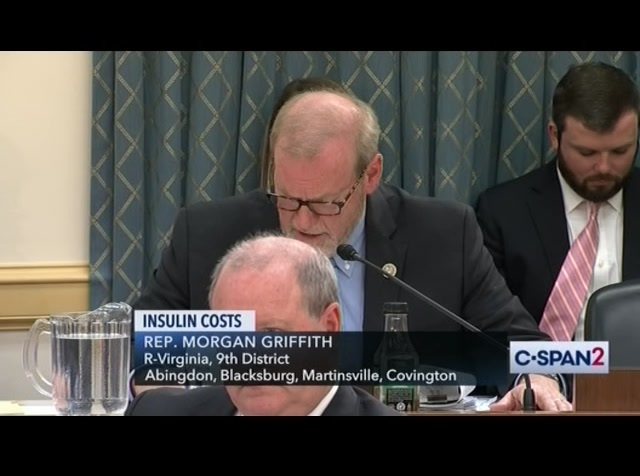 for 7 and a half million americans relying on insulin, addressing today has affected countless lives. that's why this committee is determined to find answers and to find solutions and the committee is well aware despite the fact that insulin has s been around for almost 100 years, it has become outrageously expensive. congressman tom reed, we examined these issues last year and issued a report exposing some of the underlying problems in the insulin market. 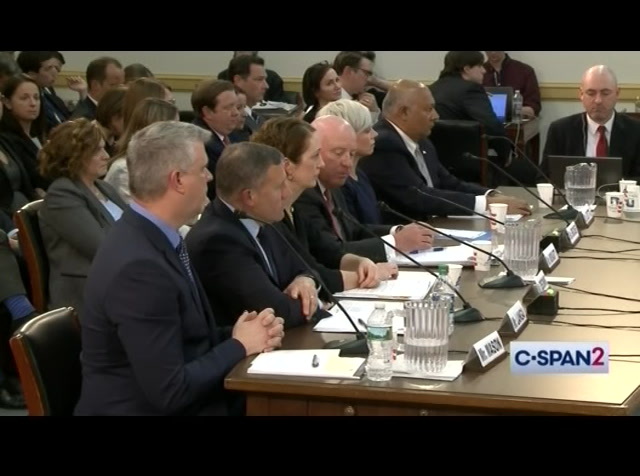 we put that report into the record at last month's hearing and what we found during our investigation was a system with perverse payment incentives and a lack of transparency in pricing. 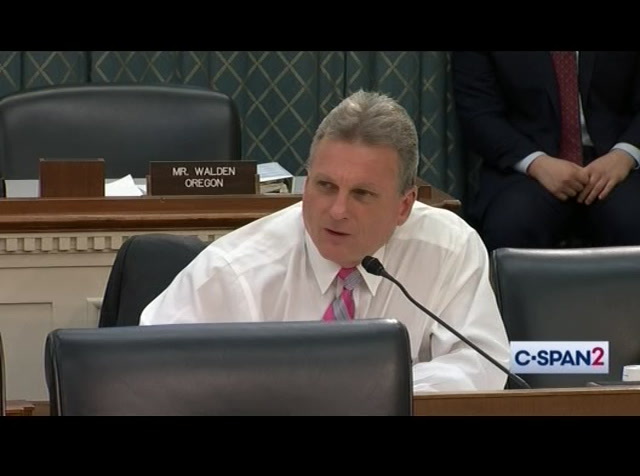 then last week as i said, the subcommittee held its first hearing on this issue in the new congress. 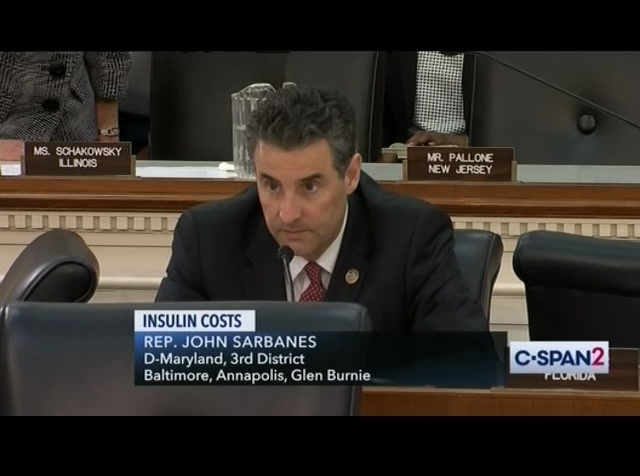 we heard testimony from expert witnesses and patients in the diabetes space and their message was clear. 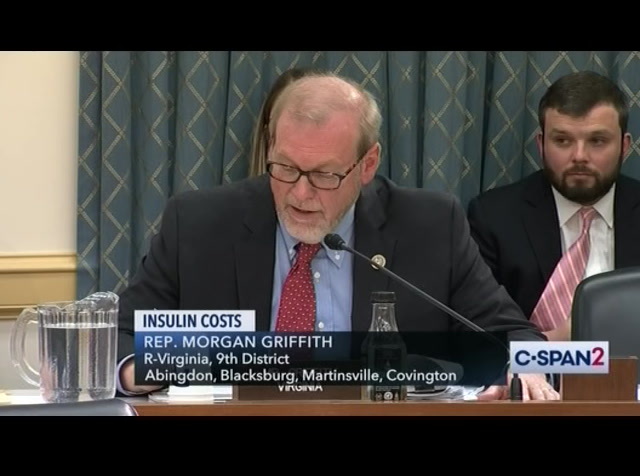 insulin is unequivocally a life-saving drug but because of a convoluted system, it has become more and more expensive to the point where refar too many can no longer afford it, even though their very lives depend on it. 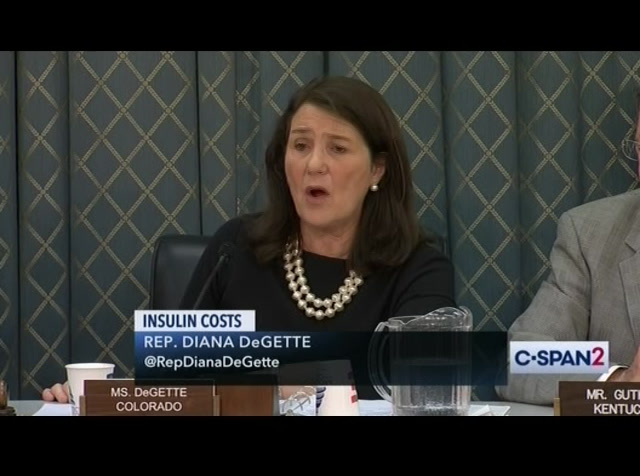 we heard from gail dufour who is a native of my hometown of denver colorado lives with type i diabetes. 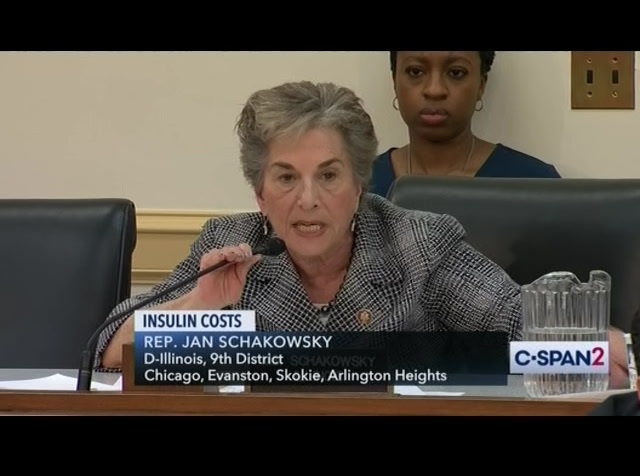 she said to the committee how her price of insulin has shot up and she's had to ration her doses against the advice of her doctor. 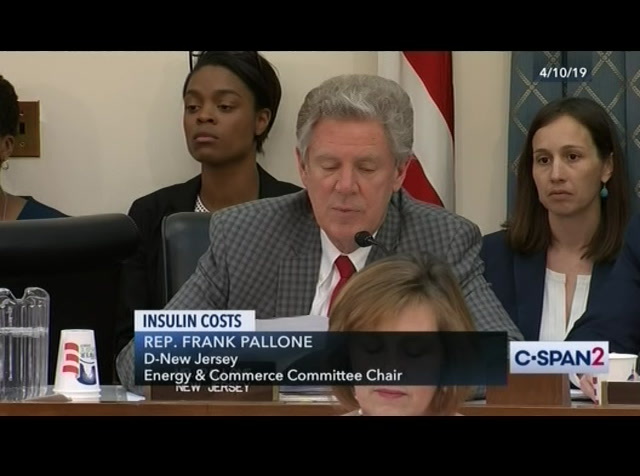 we heard from doctor alvin powers on behalf of the endocrine society who testified quote, it is difficult to understand how a drug that has remained unchanged for almost 2 decades continues to skyrocket in price. 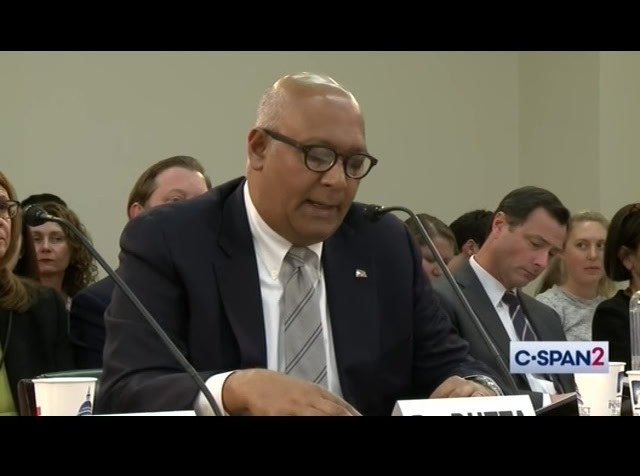 the subcommittee received testimony last week from doctor william chris to follow on behalf of the american diabetes association. 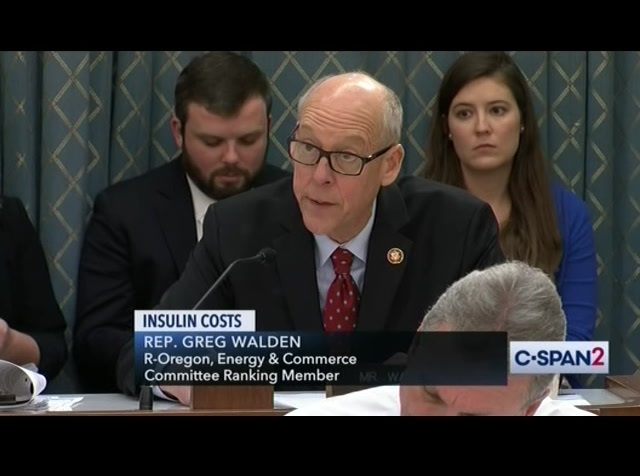 he spoke about the national survey the ada conducted which found that over a quarter of the people they contacted had to make changes co to their anpurchase of insulin due to cost and those people had higher rates of adverse health effects. 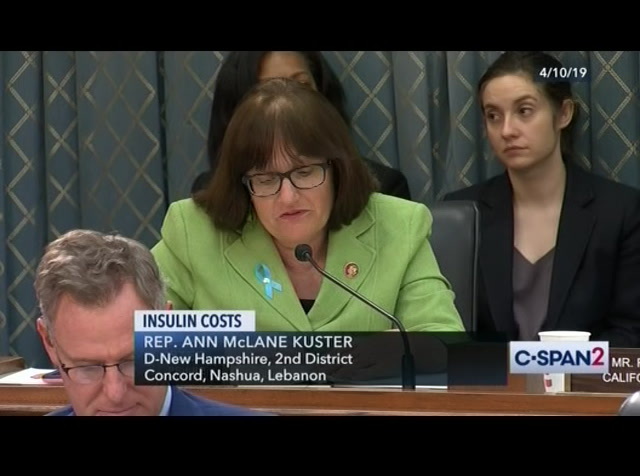 the witnesses had many different stories about the effects of rising insulin prices one consistency that emerged was the system is convoluted, opaque and no longer serves the patient's best interests. solution to this problem and that's why we put everybody here together in one panel so you can help us identify what the problem is and how we can fix it. and again, it's not my intention, i think mister guthrie agrees, it's not our intention to unjustly assign blame to one player. instead what i think is that many entities share the blame for a system that has grown up and we need a frank discussion about what's causing the increases and what we can do to bring them under control. 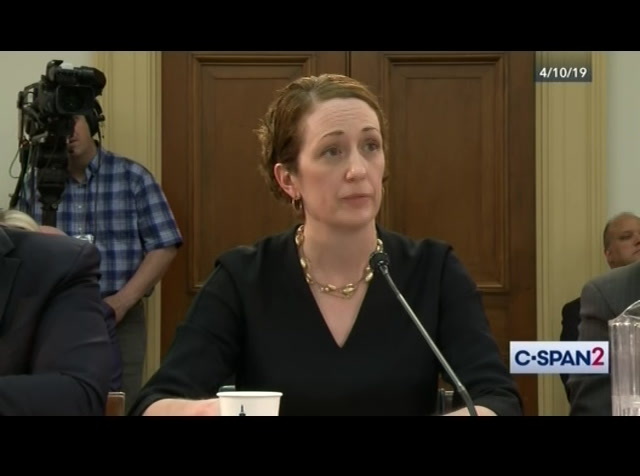 as miss the borax testified, the release we need is right now, not next week, not next year. 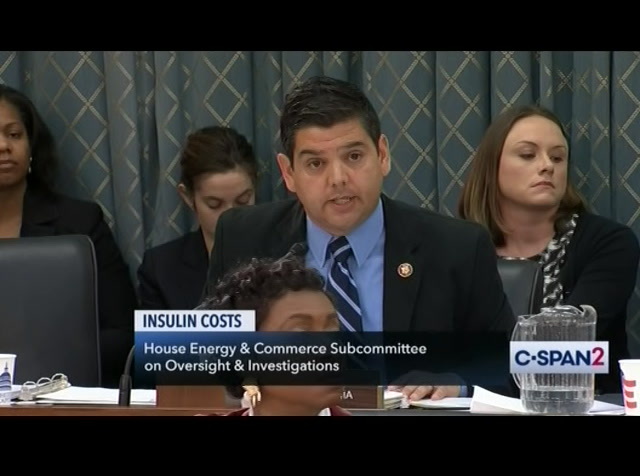 we need answers today because the price of insulin as risen too far and too many people are suffering and even risking death. thank you for being here ny today, i urge you to be candid and forthcoming and i'm now please recognize the ranking member mister guthrie for five minutes for purposes of an open. struggling to afford this drug. 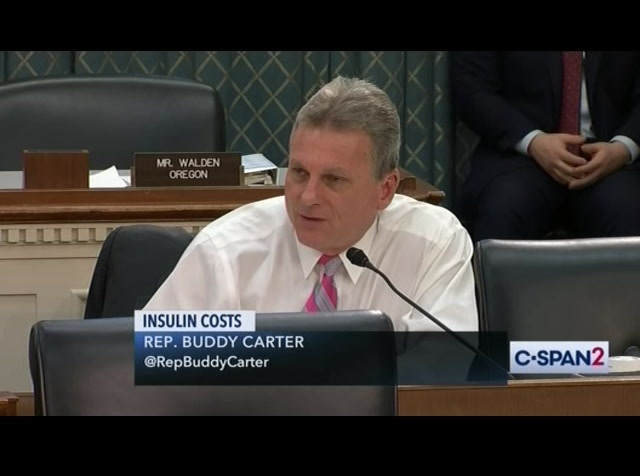 nearly 700,000 hoosiers have diabetes or prediabetes is wiser as my chair of the congressional diabetes caucus founded by diana to get and tom reed. 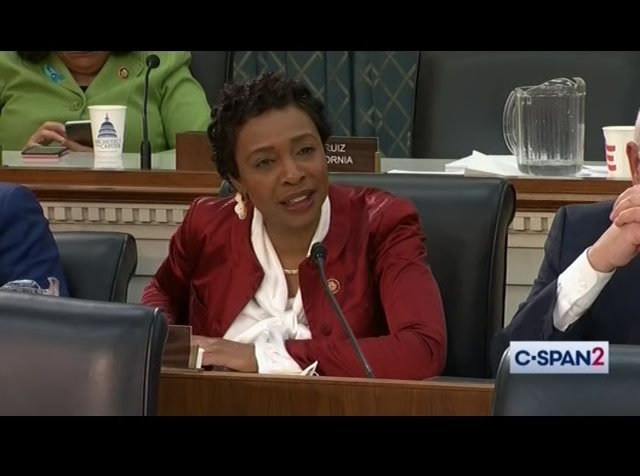 we always work in a bipartisan manner and that caucus and i hope we continue in that spirit today to find solutions. one of the companies here today, eli lilly has been headquartered in indianapolis for more than 100 years. 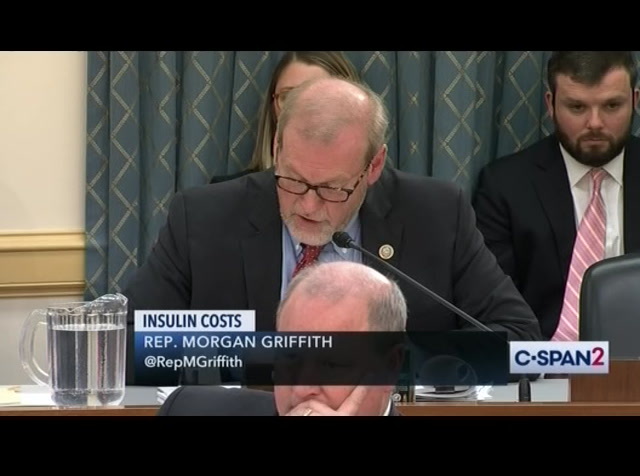 employ thousands of hard-working hoosiers, many of whom are my constituents and while i know that lilyhas put in place programs to subsidize the cost of insulin ri and i've read all your written testimony , everyone has ideas and everyone has recommendations and that's what we need to get to today. 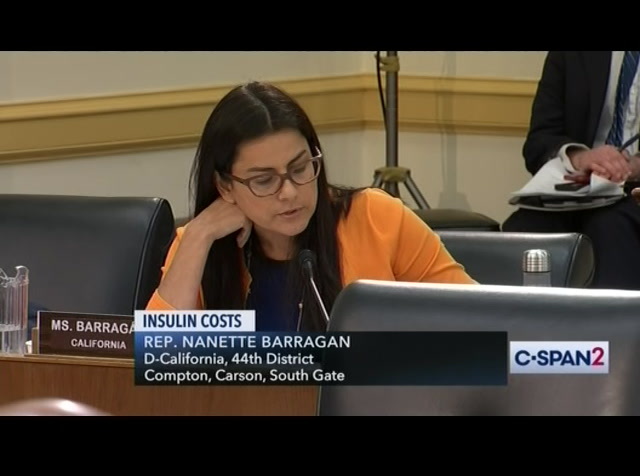 so i look forward to hearing from our witnesses on the recommendation or change so that no american have to do without insulin or take less insulin and what they must have to stay alive and remain healthy and ithank you all for being here, i feel the back . >>. 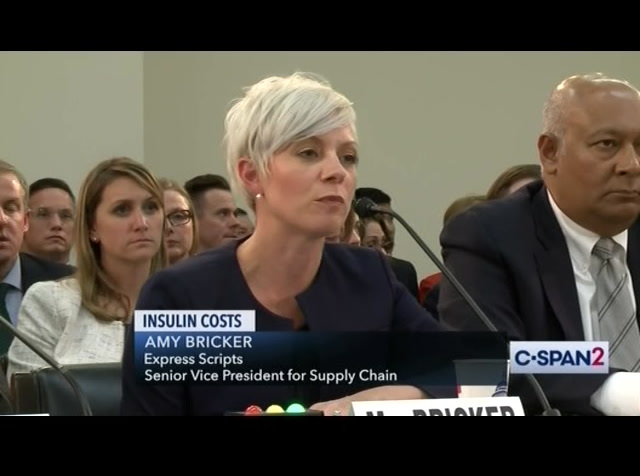 affordable insulin.while there will be questions about whether the changes in insulin over the past two decades justify how much the price for insulin, list price has increased over the same period, we know the manufacturers rarely receive the list price for their medicine. likewise, pbm's provide many important services to patients and use different tools to help control costs while promoting healthcare. for example in addition to numerous other programs, eds rated track transformed diabetes program they y received several cost-containment strategies to help reduce savings up to our ask rated tool to provide greater visibility and clinically equivalent alternative medicines at the point of prescribing. 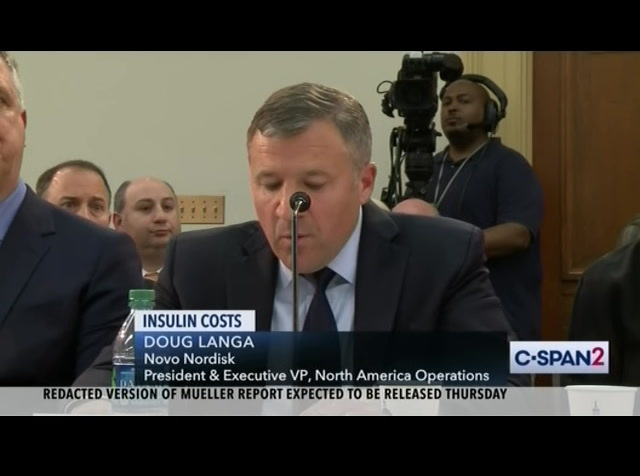 just last week express scripts announced a new patient assurance program that will ensure eligible people participating in express reps plan pay no more than $25 for a 30 day supply of insulin. and while these programs for manufacturers are important and useful in the short-term, they are only a band aid. 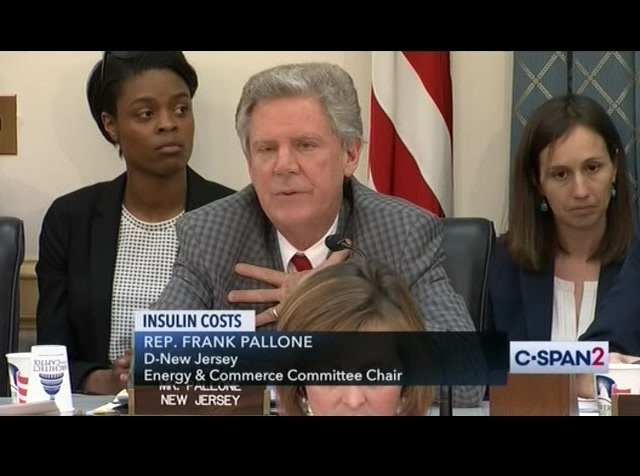 we have to work on the long-term solutions, many of the ncconcerns we heard at last week's hearing are very similar to the issues that were discussed at our hearing examining the prescription drug supply chain over a year ago i appreciate hearing from the manufacturers and the pdm's today about your perspectives on why insulin costs are rising but like we li heard at the hearing on drug pricing in 2017, to fully understand why the cost is increasing for many patients, we will need to hear from the other participants in the supply chain including the distributors, health insurance plans and pharmacists llso that at the end of the day we have to put the patient, the consumer first and everything that we do so i want to thank our witnesses for responding to our questions and i want to thank you for being here today. you will contribute to our work and that is most valuable unless once the remainder of my timeand i'm sure i would yield back . nordisk we are accountable for the list prices of our medicine . 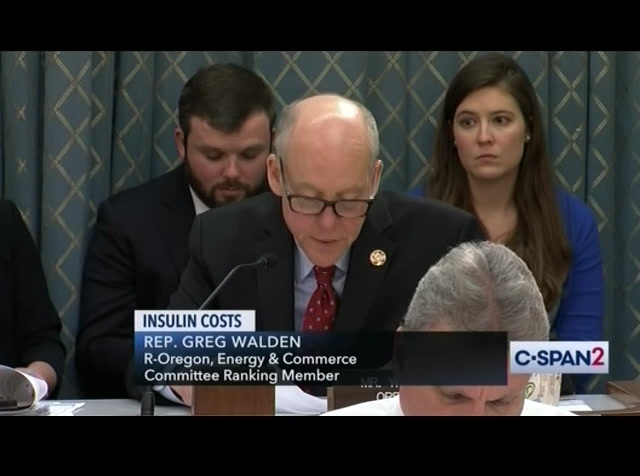 we also know that list price matters to me, particularly those in high deductible health plans and those that are uninsured.why can't we just lowered the list price and be done? in the current system, lowering list price for a meaningful release all patients. and it may jeopardize access to the majority of patients who have insurance and are more able to gather medicines for affordable co-pay. that's because list price is only part of the story. once we set the list price, the current system demands we negotiate with pbm's an insurance plan to secure a place on their formularies. 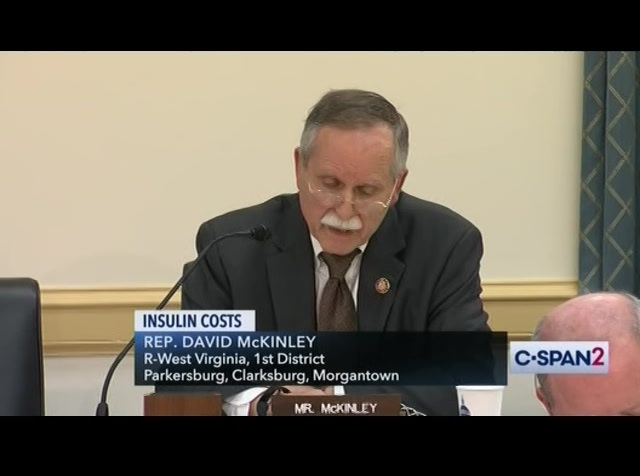 formulary access is critical because it allows many patients to gather medicines throughco-pays at reasonable cost . the demand for rebates increases each and every year. in 2018, rebates, discounts and other fees accounted for $.68 of every dollar of gross sales in the us. treatment for both-one and type ii diabetes. and it's used by about 775,000 patients today. since 2003 we have also provided free insulin to eligible individuals who are patient assistance program. 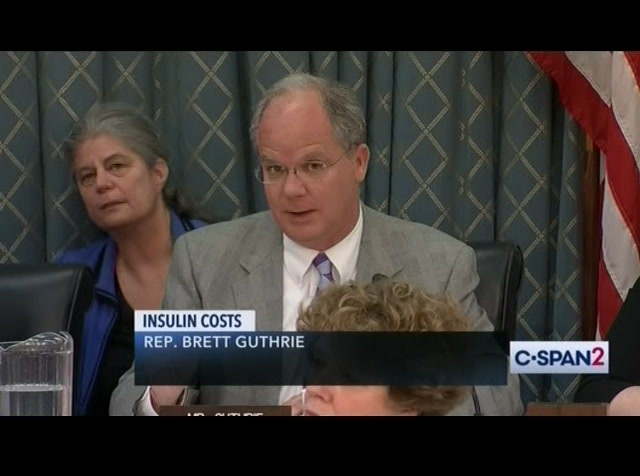 50,000 americans free insulin for this effort in 2008 alone. today a family of four making up $203,000 a year could qualify for a patient assistance program. 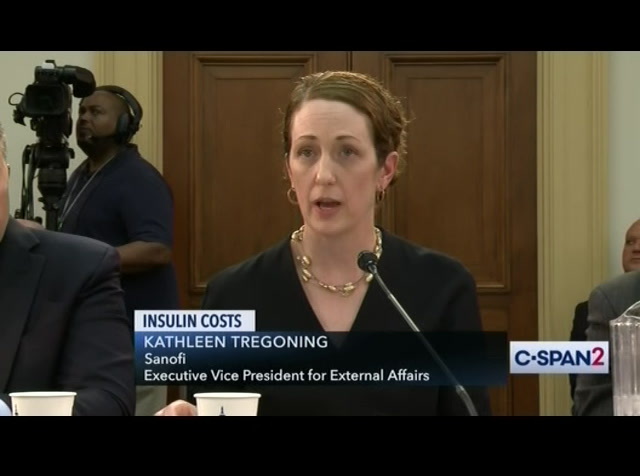 we also offer co-pay assistance on a wide variety of insulin medicine which last year helped hundreds of thousands of patients lower what they pay for pharmacy counter. with all these valuable programs , we can't stop there. patients are telling us we need to do more and we hear them. the challenge is that the current system is broken. facing illness but have also struggled support the medications they or their children desperately need. my own family is the beneficiary of a breakthrough el in medicine. my husband john has h, a genetic disorder that makes the body unable to remove ldl or bad cholesterol from the blood. he inherited this commission from his father who passed away from a heart attack at40 years of age when john was 12 years old . by taking statins, watching his diet and exercising regularly, john himself had a double bypass at the age of 36. he still couldn't get his hi cholesterol under control.t then he came across drug. >> ..
>> as his father and grandfather. i fully appreciate how important it is for science to continue to solve the medical challenges that impact so many families. i recognize that those breakthroughs are meaningless if patients are not able to access were for them. over the last 20 years, santa fe has been a leader in the advancement of new treatments to help people manage their diabetes. 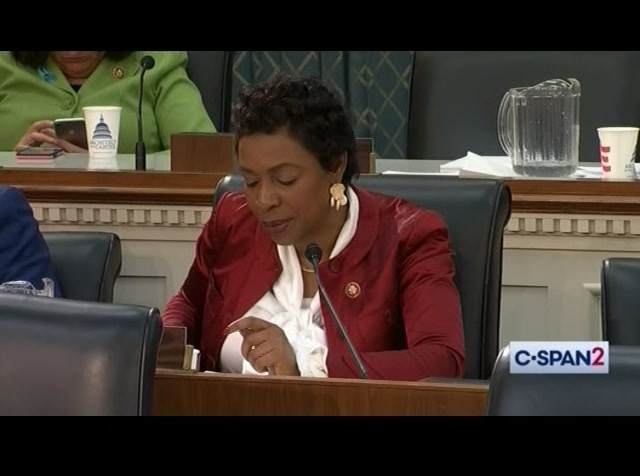 at the same time, we recognize the need to address the very real challenges of affordability. two years ago, we announced our progressive pricing principles. we made a pledge to keep list price increases at or below the u.s. national health expenditure projected growth rate. and we stand by this commitment. in 2018, our average aggregate list price increase in the united states was 4.6%, while the average aggregate night price, the actual price paid to santa fee, declined by 8%. lower cost. by making -- preferred, out-of-pocket costs decline by 9%. 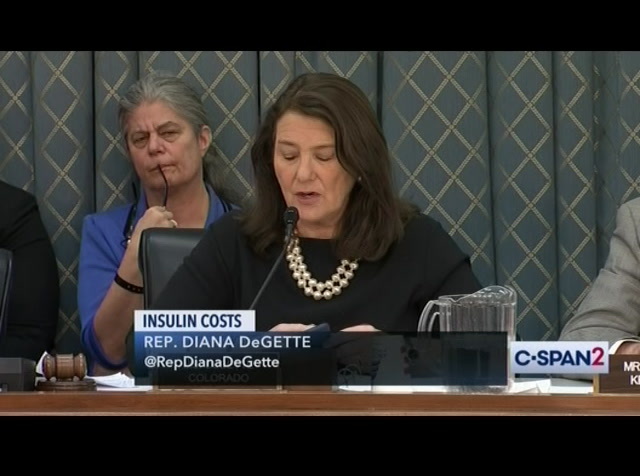 among patients who switch, their a1c your blood sugar levels were improved by .43. to put this into perspective, every one point improvement a1c among patients with uncontrolled diabetes is correlated with approximately $41400 of savings per year medical costs for each patient. this is a real-life example of how competition works. despite the efforts, we know this is not enough. 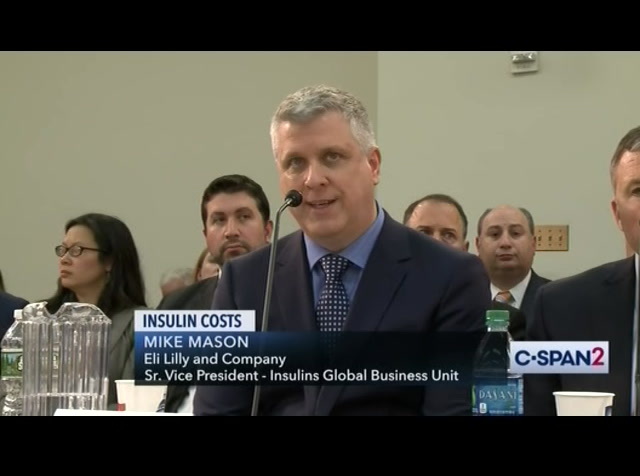 let me share a story about a company and their experience with diabetes. 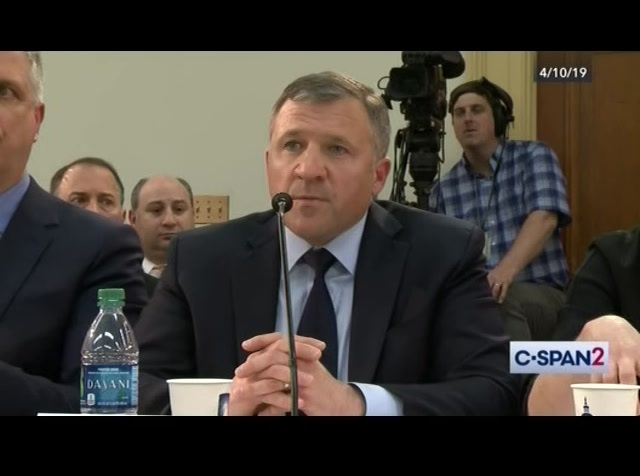 this company saw the human toll on their colleagues and continue to see escalating costs. 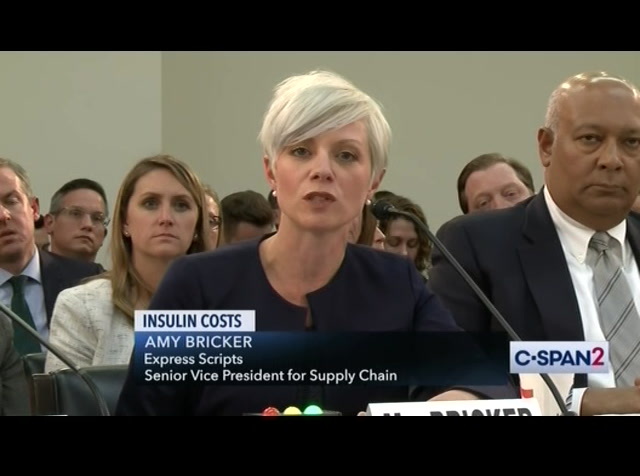 in response, the company began offering employees and their families $0 co-pays for insulin, providing coverage for diabetes medications even before the deductible was met. 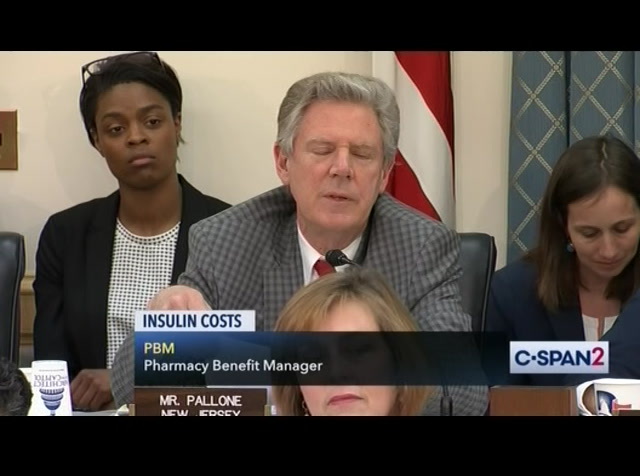 pharmacy counter for millions of consumers who are now seeing an average savings of $130 per eligible prescription. 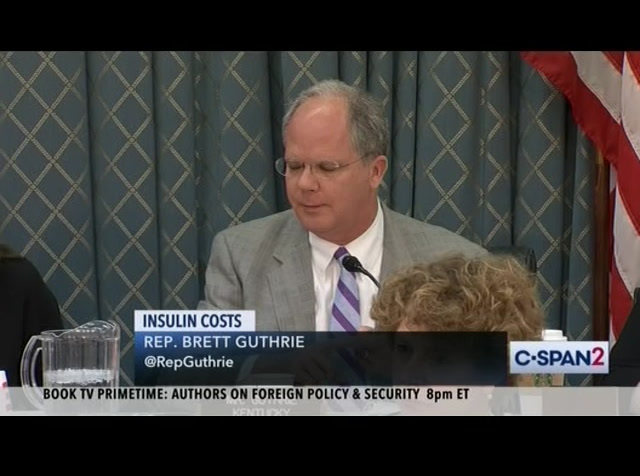 the savings are even higher on insulin. 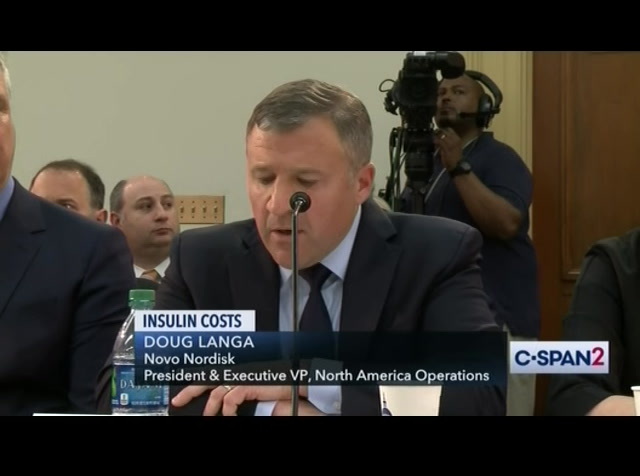 last month, we announced a decision to expand this point-of-sale discount solution to all new employer-sponsored plans beginning january 2020. nevertheless, the price of insulin remains too high. lack of meaningful competition allows manufacturers to set high list prices and continually increase them which is odd for a drug that is nearly 100 years old and which is seen known significant innovation in decades. these price increases have a real impact on consumers in the form of higher out-of-pocket costs. 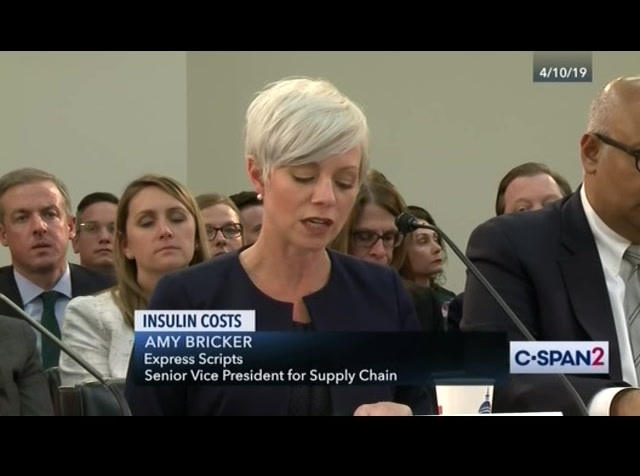 the most impactful way to reduce and insulin prices is by opening the market to true generics and bio similars. five minutes. >> i appreciate all of your testimony. 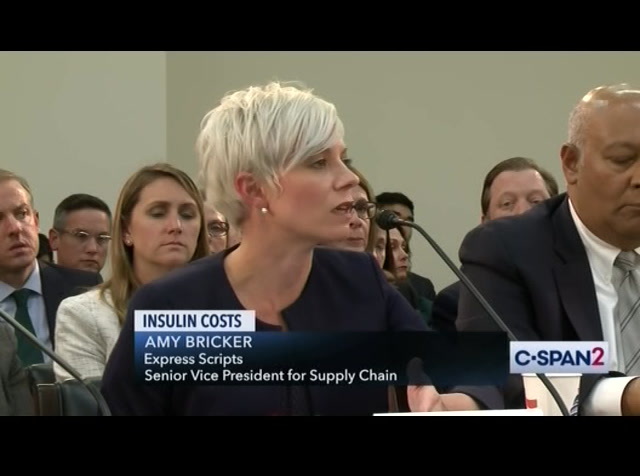 what strikes all of us on this panel, which we have heard from all of the actors in the system, it is how the list price is really high, but then there are workarounds that some people can get to get a lower price of insulin. let me just give you an example. eli lily increase the price of humalog from $35 in 2001 to $275 today. -- and curse the noble log by 350% since 2001. on january 8 of this year, the insulin products will not buy 5%. so, they increase the price of a praetor from $86 in 2092, $270 last year. incentive and misaligned incentives. there is encouragement to keep list prices high. we've been participating because the higher the rebate the higher the list price. >> you think it's because of the rebates? >> there's a significant demand for rebates. 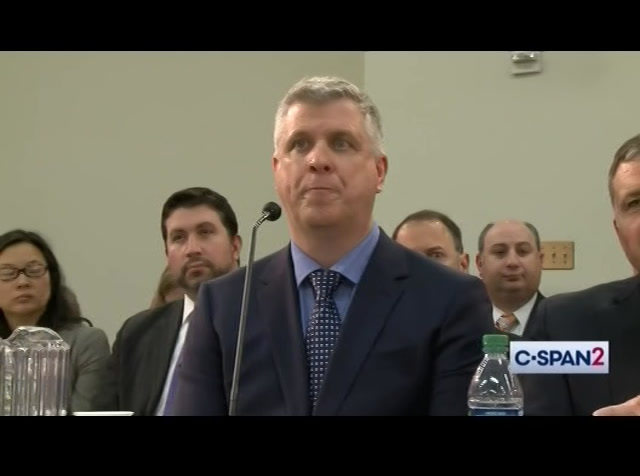 >> reporter: i'm sorry, mr. goldman. >> part of how we set list prices we have to look at the dynamics of the supply chain including rebates. 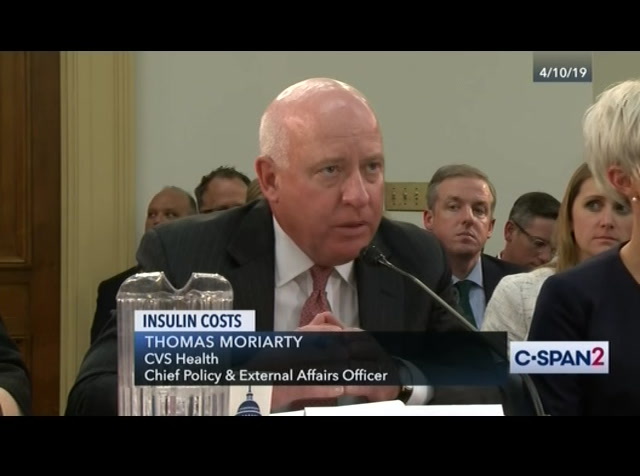 we have limited ourselves to list price increases no greater than expenditures. >> mr. marty abbott you have a different perspective. >> rebates or discounts. as we have disclosed, more than 90% of those discounts go back to our client. >> i understand. but why do you think the list prices are so high? >> i can't answer that. that's the manufacturers. >> i concur. according to your testimony go up 207% were your list price drop by 3%. >> i think your similar. i don't want to -- all of you. we see the net price going up. i understand what you're saying but we see the net price rising. maybe there's a market reason and is benefiting consumers. we want to know. >> and the current system today the most important thing is the most number of patients to get our brands at the most affordable prices. in the system today that is the current position, just the three beat pb m's represent over 220 million covered lives. >> that's 80%. for us to lose a position, that would be a dramatic impact to patients in terms of the medicine their own, physicians in terms of their choice. 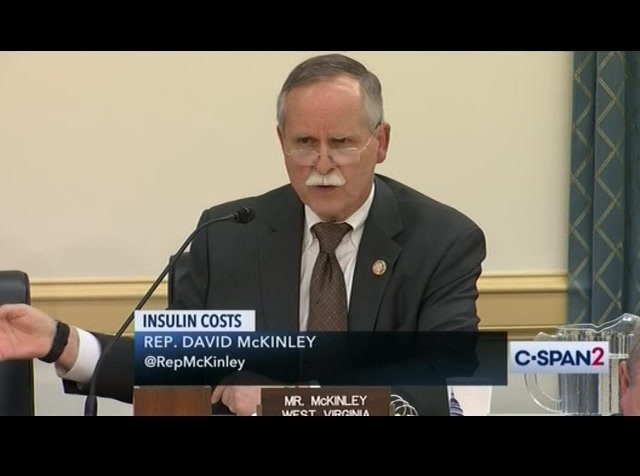 >> you would move your position on the formulary if you lowered your price. negotiation. >> i went to long on that. you're ready talk to that. i have other questions i'd rather hear your response to that. >> at smidgen previously, were looking at the clinical attributes of a product. i know you want to get to the economic. this is based on net price. if every one of the manufacturers to the right wanted to reduce their list price there would be no implication to the rebate status the long as the net price remain the same. >> on my example if she's willing to sell 100 and i sell 200 and rebates keep the price down why wouldn't the what would the net price be? there is a price marked through the system that seems to be based on. another higher price that just seems to be caught up in the system. what really affects people as we have talked about when they're going to the.of sale, i know you have these plans in place. those are great. we need to figure out the economics behind it. . . . want to submit for the record a peaceful muscle memory. 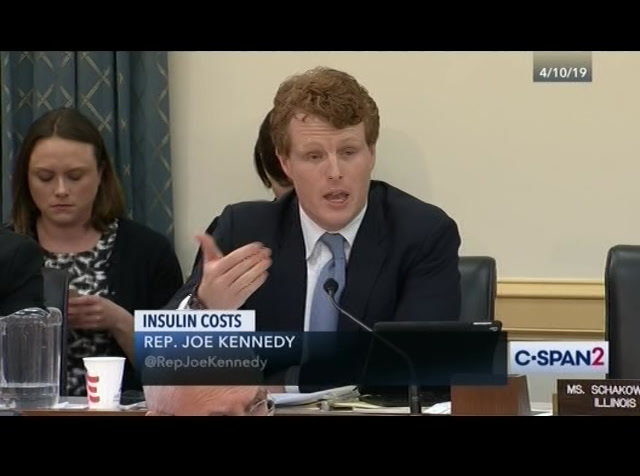 i've done and other hearings about individuals, two mothers that brought brought ashes of front ofldren in cambridge back in november trying to protest these prices. you all have come to know why we hear and you know what the challenges are. i can tell you from seeing her for a couple a self-restraint is to be on the set of dice and watch anyone do this. 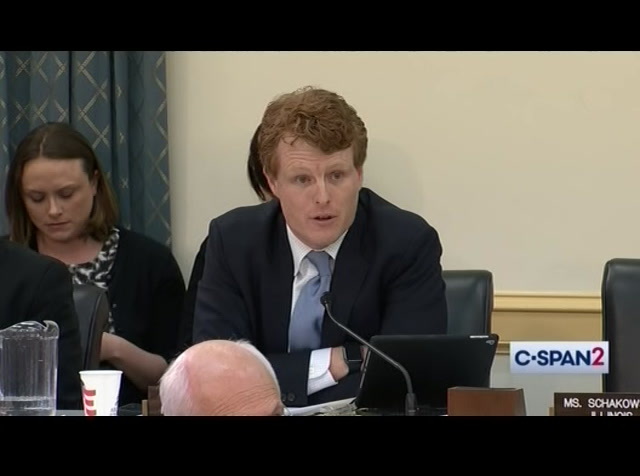 i also, i hope and expect you also understand if that's the result of this hearing that we are not, you're not going to come the status quo will not continue. it can't. 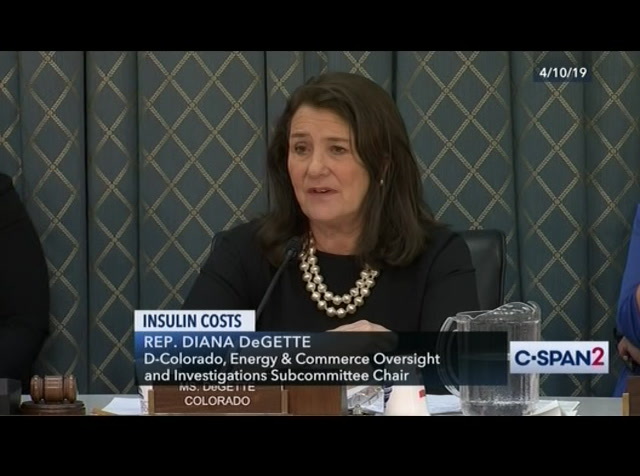 we heard testimony from patients that wereat literally rationing, putting their lives on hold for taking serious risk for themselves and the children to get access to medicine that was patented for one dollar. 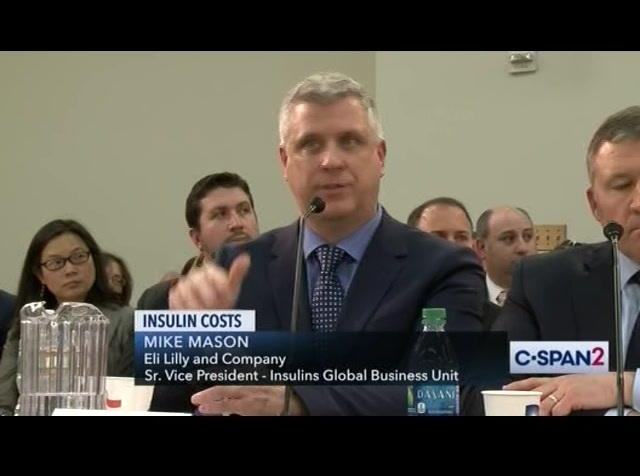 mr. mason, you begin by saying about the 75% of that increase over the course of the past several years increase the list priced goes to pbms. the data ith have indicates over the past since 2002-2013, estimate the average price went from $231, inflation-adjusted, 75% of that is roughly three $75. 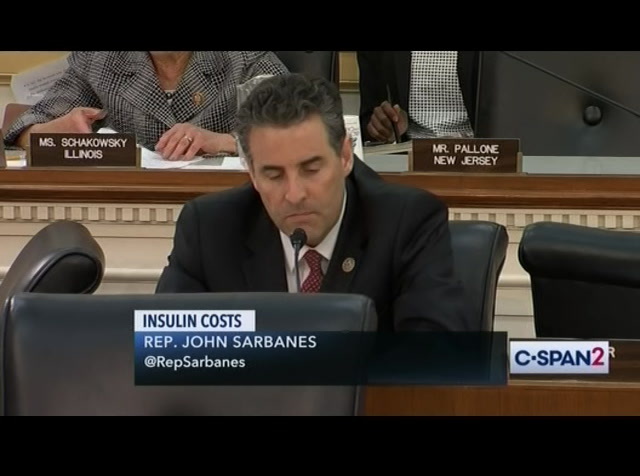 that means when hundred 27, 50% of the baseline price is not pbms. 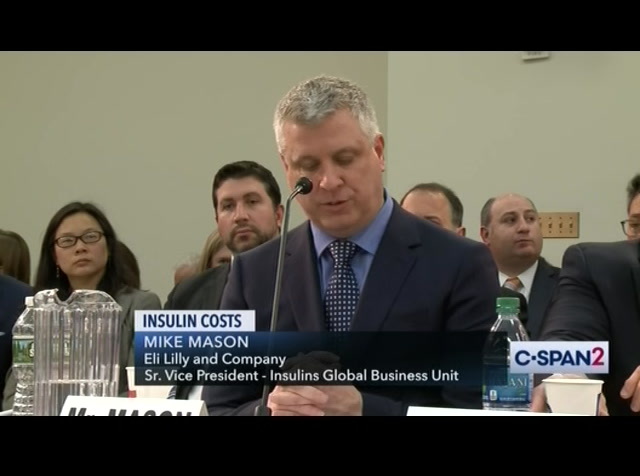 on biologic to eli lilly humalog. according to press articles sanofi launched it at a list price that's about 15% less than the list price for humalog. is that pretty close? >> yes. 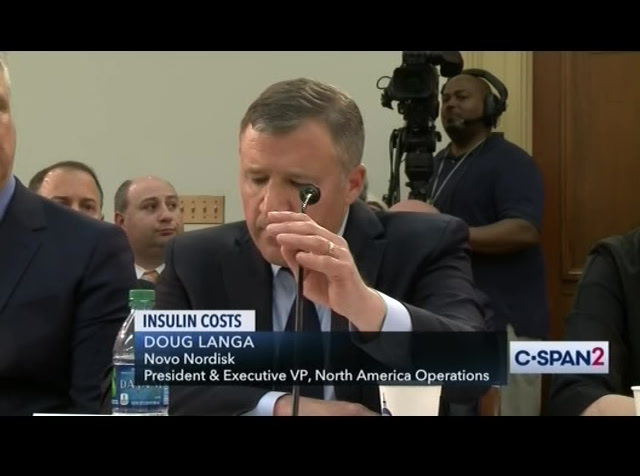 the lowest list price insulin. >> typically when a generic medicine enters the market we expect the price for the brand to be less. you told us however that it is not on the formulary for any commercial plans. i believe that's great. >> correct, only available through managed medicaid. >> given that it was launched at a list price than humalog, what berries are preventing patients from this alternative, and our species ginny for the access? 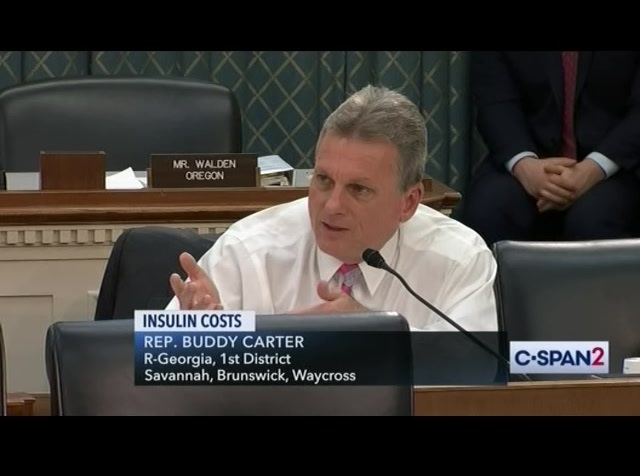 >> congressman, were unable to secure formulary access through rebating come as exact wisest decisions were made i would have to defer to my colleagues on the other side of the panel. 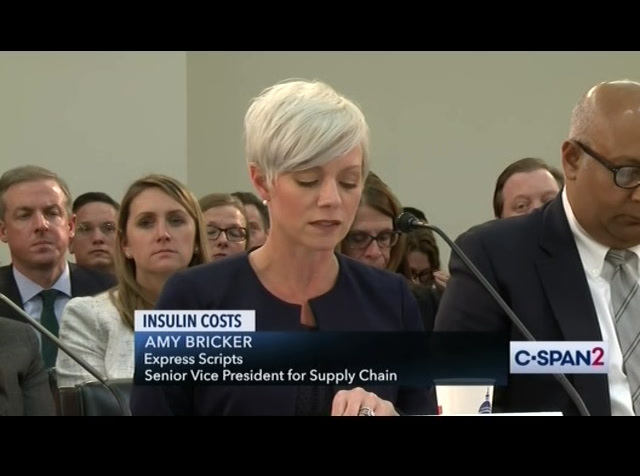 biologic manufacture may tell pharmacy benefit managers, pbms and health insurance plans they will no longer provide rebates for the branded product. if the pbm or health insurance plan puts a follow-on biologic or biosimilars on the formulary, has eli lilly told in pbms or health insurance plans that it will no longer provide rebates for humalog if the pbm for health insurance plan puts analog on hisno formulary? >> no, we haven't. >> all right. 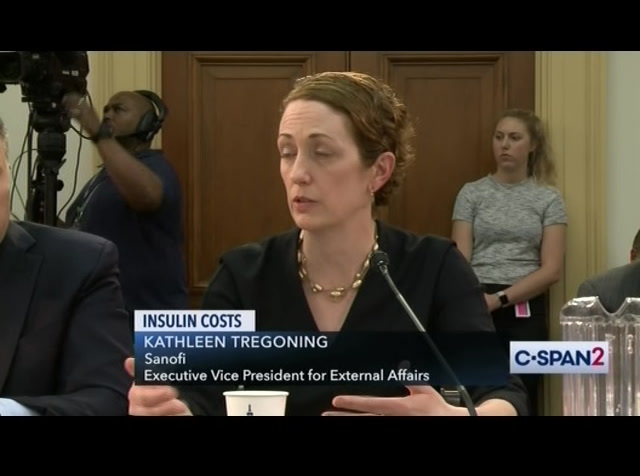 ms. tregoning, similarly did sanity tell any pbs or health insurance plans that it would stop providing rebates for lantus if the pbm or health insurance plan put basilar under formerly? >> no. 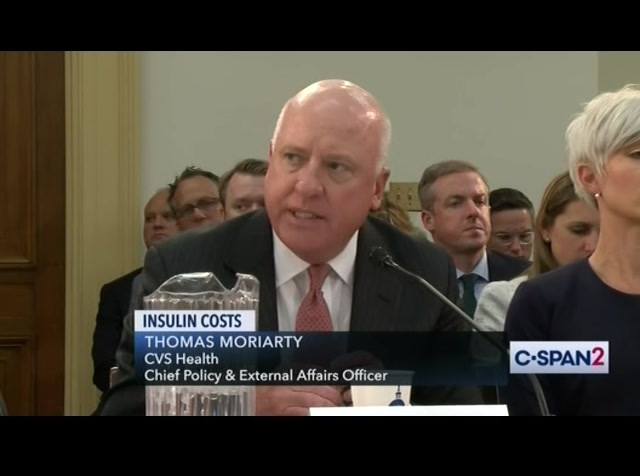 >> mr. moriarty, has a a manufacture ever said they would stop providing you rebates for product if you put a competing product on your formulary? >> not that i'm aware of. >> so that's never happened. 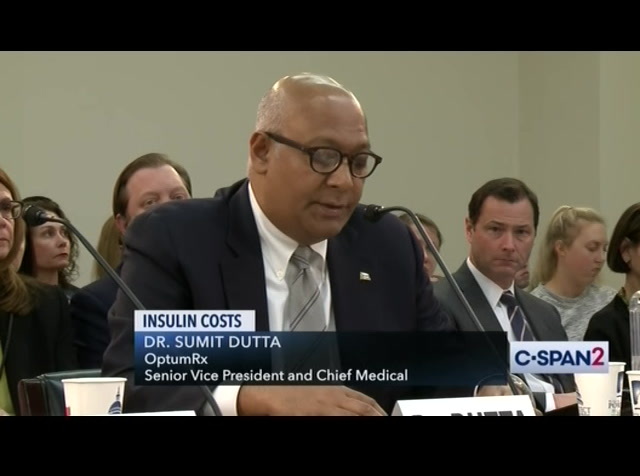 and then for ms. moriarty, whybricker and dr. dutta, isn't it included on your formulary? >> so the challenge that we have specifically is one of net cost. and so to the mechanisms that we use today which are rebates or discounts, it was more expensive than competing products. manufacturers to give higher discounts for exclusive position i think that was your question to my counterpart on the right. >> each of you could answer that. >> yes. to the extent we have recognized one product as exclusive, other manufacturers, that exclusive product will receive less discount if additional products are built in sperber why not include both? >> received less discount anything we do that. 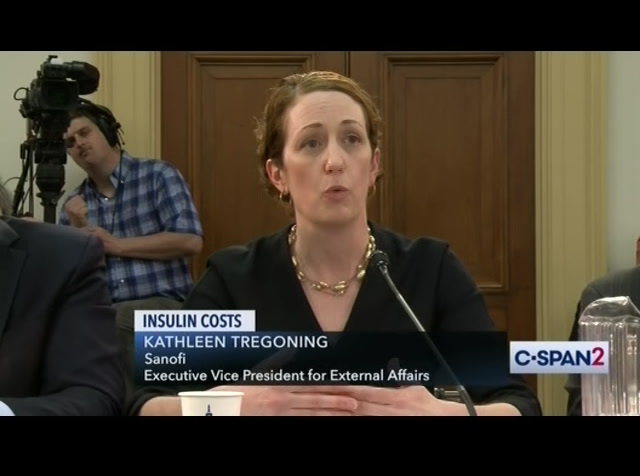 >> so what about the others, mr.
increases in insulin prices the patient have to pay for? >> cornet prices are the prices we receive are going down. >> are you excited making a profit?pr are the ceos of your companies making profits? >> our net prices have gone down since 2009. >> somebody is making a profit. somebody getting rich on the backs of our patients. 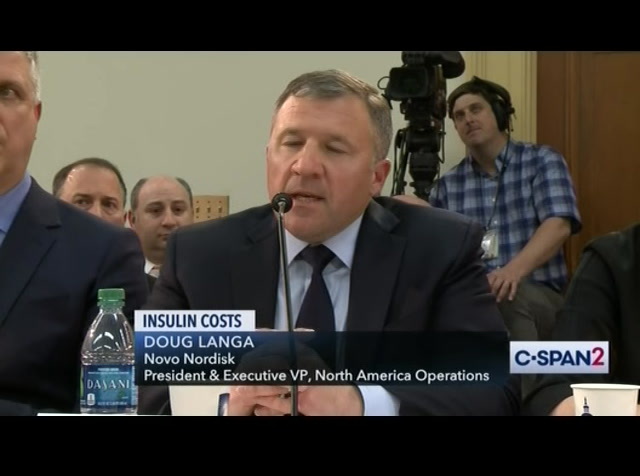 mr. langa, what entity in the supply chain is prioritizing affordability and access of insulin for patients? >> i like to think we are. we participate as many formers as we can pick as an agent that is critical critically most imt with patient assistant programs as well as co-pay assistant programs. >> so is making a profit? >> our nets are going that as well. >> but your overall profit for the company and ceos have been going up, haven't they? >> no. our profit -- >> take-home pay of ceos. >> relatively stable. part d services they also receive administrative fees from pharmaceutical companies that are based on a percentage of the list price of the medicine. it therefore appears asph though cvs health may use administrative fees that are based on a percentage of the list price of a medicine. this is correct, isn't it? 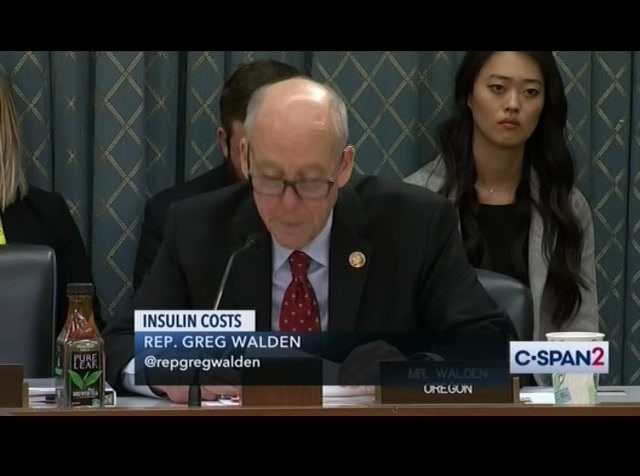 >> congressman, over overnightf all the p fees, rebates that we obtain across our services and 100% and medicare go back to the planof sponsors. >> that's not what your contract says pick your contracts as you walk in charge of 1% fee and, administered a fee based on the price of the medicine. the question that i have is, it doesn't cost your company anymore to process a four dollars drug that does a $40,000 drug, isn't that correct? >> a represent the cost associated with that process. $300 million. >> i yield back. >> hanky. mr. kennedy offered an article for the record, and without objection it shall be entered. 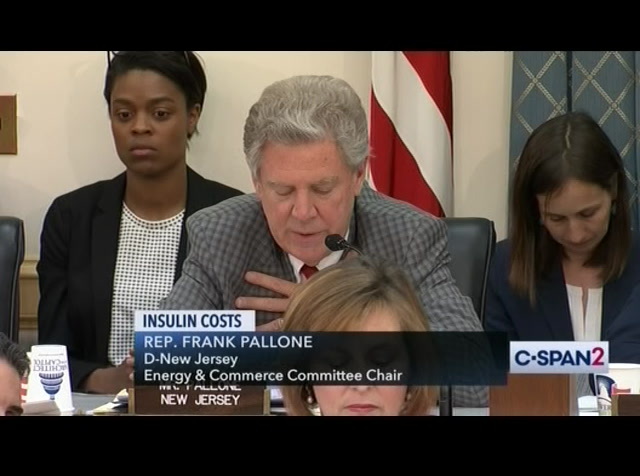 the chair now recognizes the chairman of the full committee, mr. pallone for five minutes. 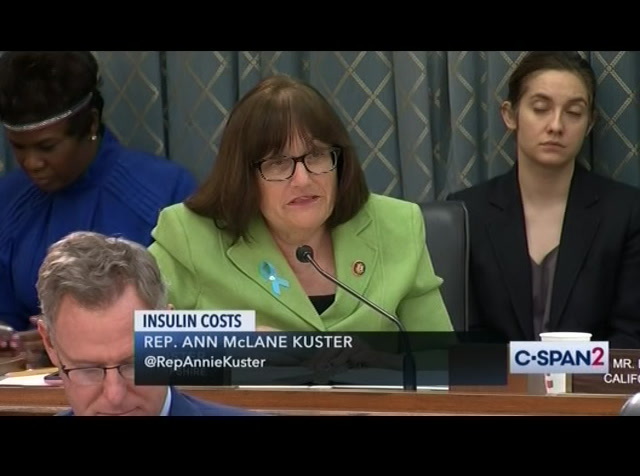 >> thank you, madam chair. 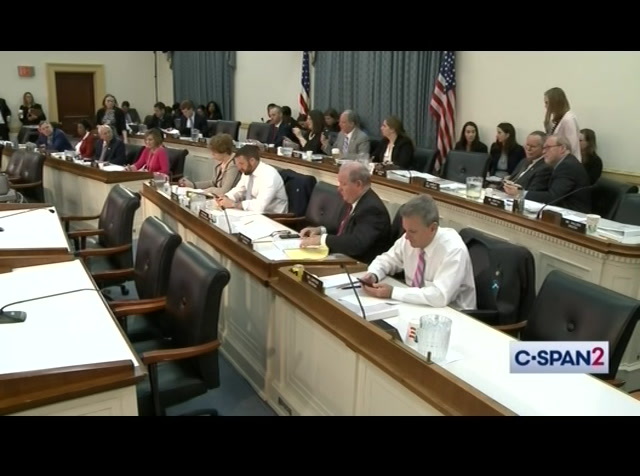 i missed a lot of the hearing because we had other hearings and we were on the floor today with net neutrality. i just want to say this. 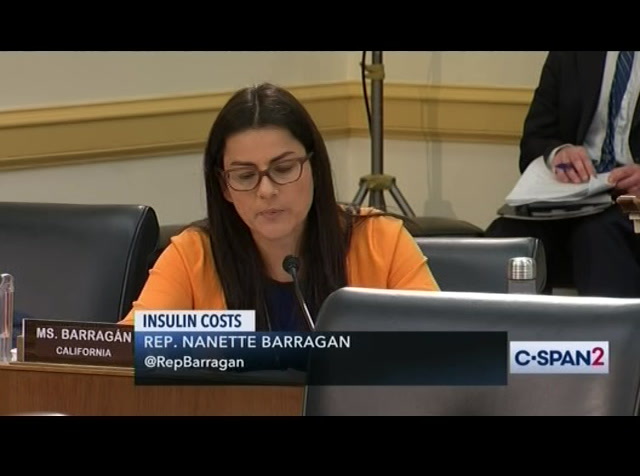 all i hear from my constituents, or just totally disgusted. 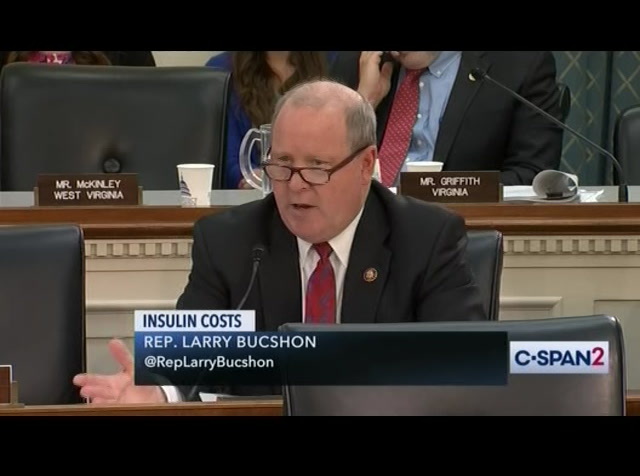 they figure particularly for insulin it's beenn around a long time, you know, they don't even believe in the market-based system in more. frankly, i believe in a market-based competitive system. that's what the country is all about, but what they tell is just set the price. 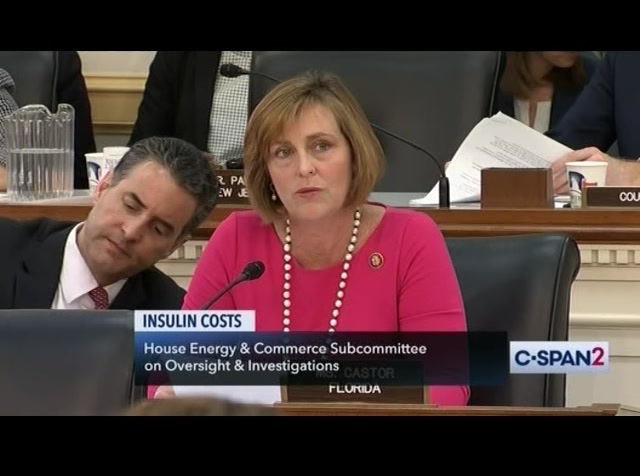 they will literally say to me, you in congress are some government agency should just set the price and that's it. they just don't leaked and the competitive model anymore so you keep saying the system, the system, the system doesn't work. formularies. the formulary that provides the greatest savings for our client actually limits through exclusivity or exclusive placement insulin options. we do that because we are able to procure the deepest discount from the manufacturer once we reward that placement. so they are offering discounts in place for market share and access. but to your point, we have other options and we believe that choice to our plan is critical and they absolutely can't select formularies. >> and what if we remove exclusivity from formularies? >> prices would go up. >> and why do believe prices would go up? why do you think prices would go up if all of the companies were able to be a part of your formularies? mr. moriarty? 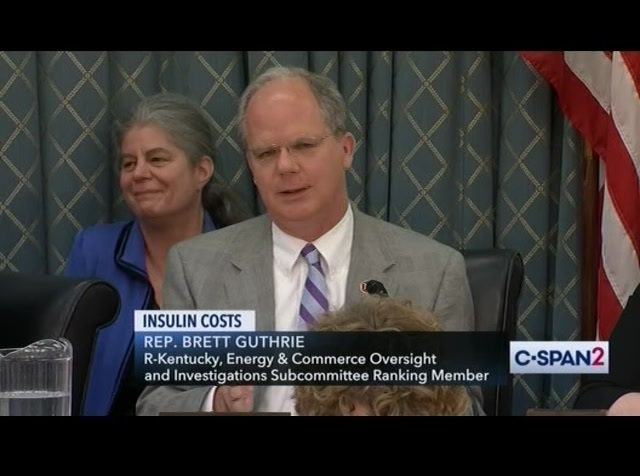 >> because the drug companies would not offer the discounts that currently exist in the system. >> if we were to remove all exclusivity from x from formularies. there's access and affordability, we are open to that option. >> thank you, i yield back. 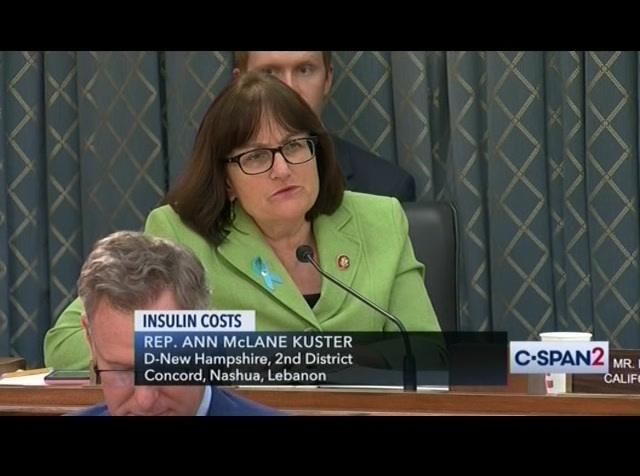 >> the chair now recognizes the gentle lady from new hampshire, ms. custer. >> thank you for your presence here today. 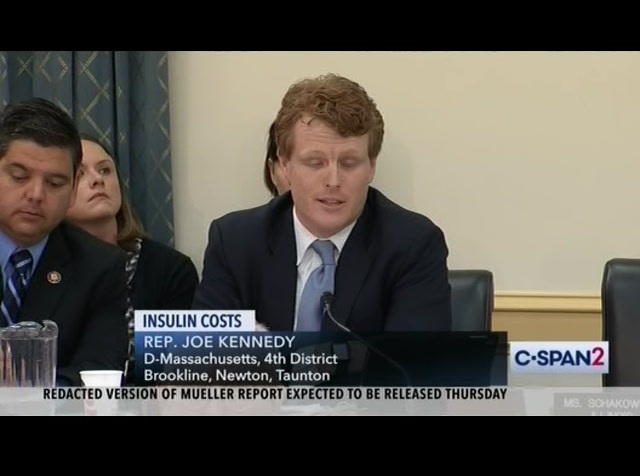 in new hampshire we have 121,000 , give or take 10 % of our population actually have either type i or type ii diabetes. and these are the people that i have in mind that we have been hearing from. 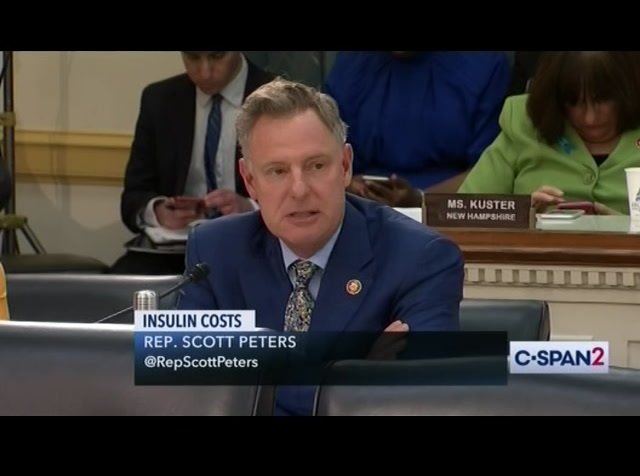 but i want to understand, the frustration that diabetic americans come not just from the dramatic increases in out- of-pocket cost, with the mindnumbing complexities of how the drugs are priced. use more insulin we need in a month so she writes prescriptions for slightly more than we use. since the files are good for two years with extrawe in case anything happens. at the end of the day we count ourselves blessed both public and i work and are injured sufficiently helps pay for all of brooks type i diabetes supplies but the beginning of the year is still very difficult intent with our deductibles and we choose to pay more for our insurance for out-of-pocket to make this deductibles but he says i cannot fathom how a a family can choose to limit or ration insulin to their children. the system needs to be fixed. i asked brooke, as the nine-year-old having to deal with this what would you want me to ask? 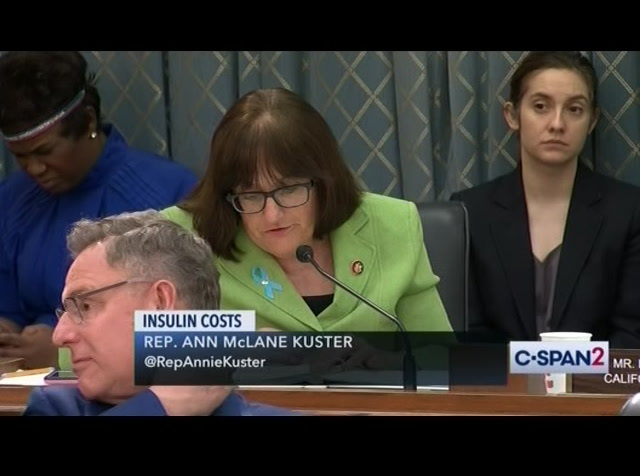 she said why do with laws that protect kids safety, like by come, seatbelts and indoor smoking bans, but not laws that would allow them to get the medicines they need to stay alive? 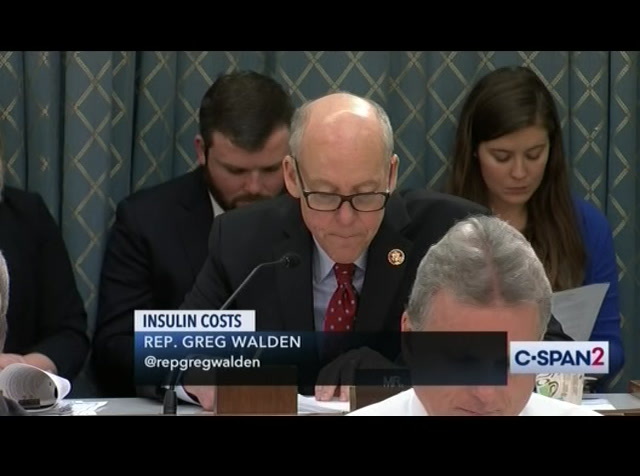 their own tax burden, that by donating drugs to the patient assistance programs the company is able to deduct the value of donated drugs from its taxes. in 2015 understand eli lilly donate 408 million worth of drugs to the care foundation. 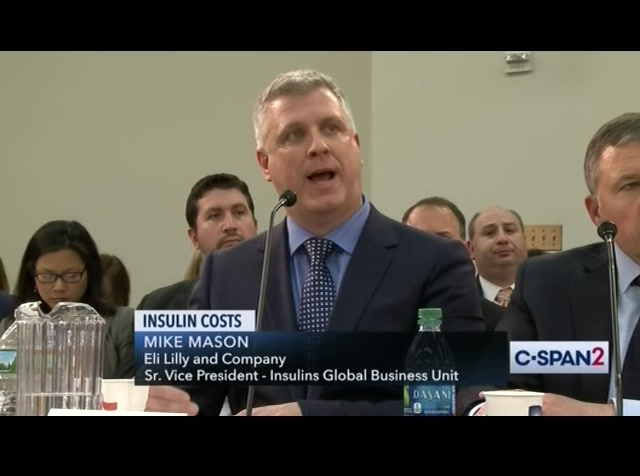 mr. mason come should manufacture be able to benefitit financially from the patient assistance programs? 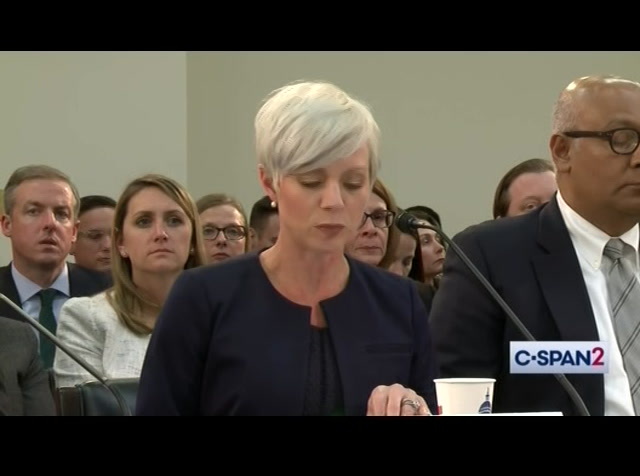 >> we do it until patient there will want anyone not to -- >> that's a big, 408 million, then i would think we would seek some commensurate reduction of the list price that would be tied to that. >> are net prices are goingng down. what you are not seeing is we spent $108 million last year on, that help offers 525,000 people. 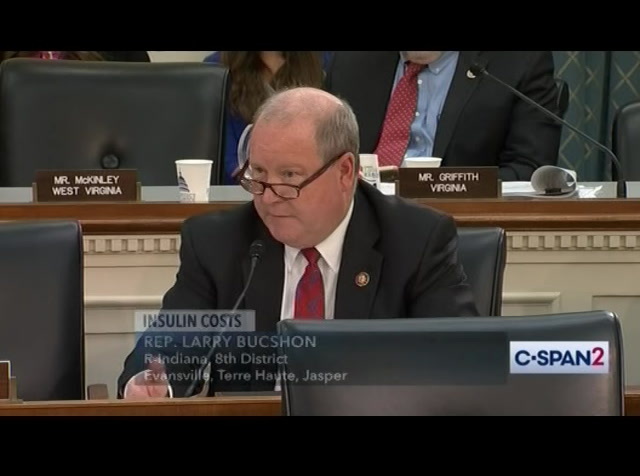 those are not tax write-offs. >> there's an issue here with these kind ofpe charitable contributions. zero dollars co-pay or most commonly a flat co-pay of $35. for the other percentage that you're asking about that on our coinsurance or high deductible plan, we advocate for point-of-sale rebates as well as preventative drug lists so insulin would not apply to the deductible. >> i yield back my time. thank you. >> thank you. that you are now recognizes mr. mullins for fivemy minutes. 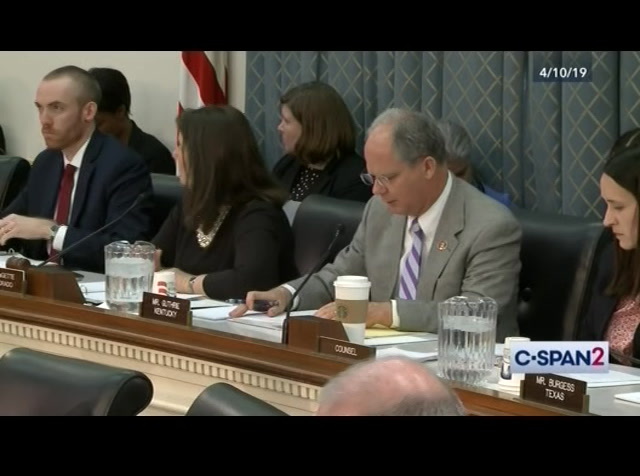 >> thank you, madam chair, and thanks for holding this meeting. it's not often we get together and actually agree on issues, but we are all part about the same thing and we're all scratch your head trying to figure out how we got to this point. real quick, to go back to what was just asked about your tax advantage for taking the rebates. rebates. is there a taxt advantage for your companies for those rebates? yes or no? >> no. >> no. >> no. >> what about the charitable contributions? is that not a tax advantage? 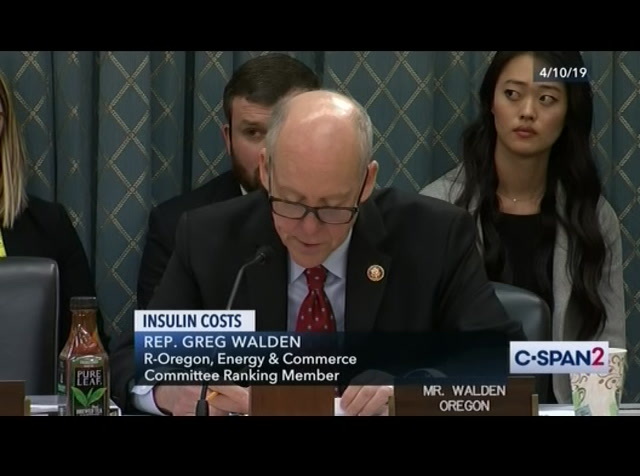 >> we only get insulin -- >> if it's at $300, using generic numbers, if the list pricee is 300 come you put your rebates and, you get all the way down to 100, who absorbs those rebates? us that whys, we're doing it. >> who absorbs those rebates? you guys absorbsbs those rebate? if you are given a rebate and the list as a $300, you get you get to 100, who absorbs those rebates? 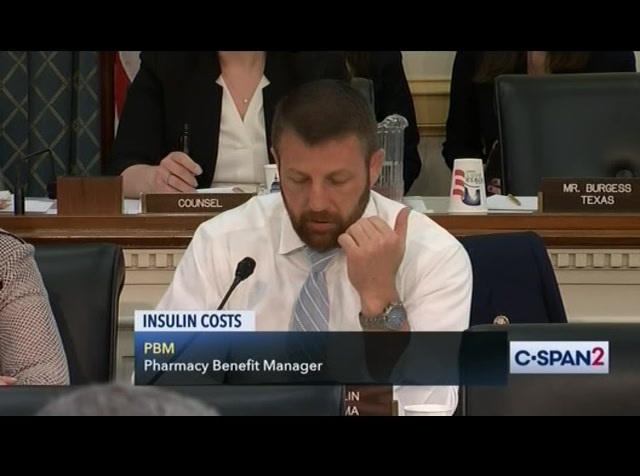 >> the rebates coded pbms -- >> and doesn't go to the patient though, right? >> based on -- that's the concern we have. >> do you write that off as a general contribution? >> that's different unachievable contribution. the free drug program which are run through patient assistance programs is different, that's providing free trucks toio patit below a certain threshold. that seven from rebate. done so run a need to recoup cost and time. but the cost is recouped in this. 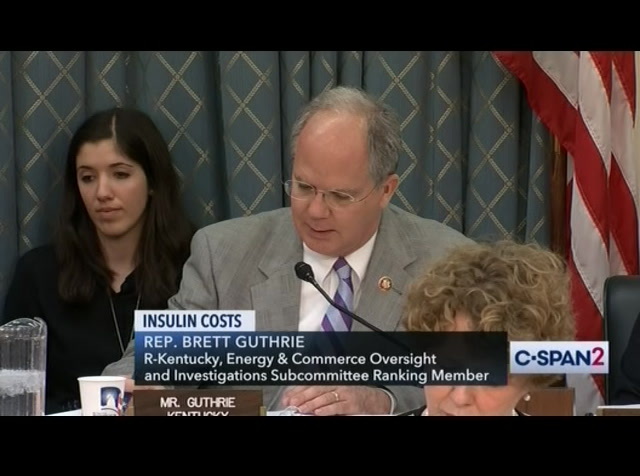 so you arere using insulin today to pay for future drugs are outside of insulin, is that correct? >> we continue to invest in speed is that's why you seeing it go up so much. >> no, because our revenue some deputies are going to the net prices are going down. >> budget a heavy cost associated with it because it's already developed come already paid for.is >> the revenue in u.s. has gone down by half last four years. net prices have gone down -- needhave quick questions i to getet to the if the patient qualifies for your programs, how much does it cost come how much does insulin cost at that point? >> patients assistance is free. >> for co-pay assistance to pay no more than ten dollars. if they qualify for the charitable, then it is free drug. >> okay. >> it is free. 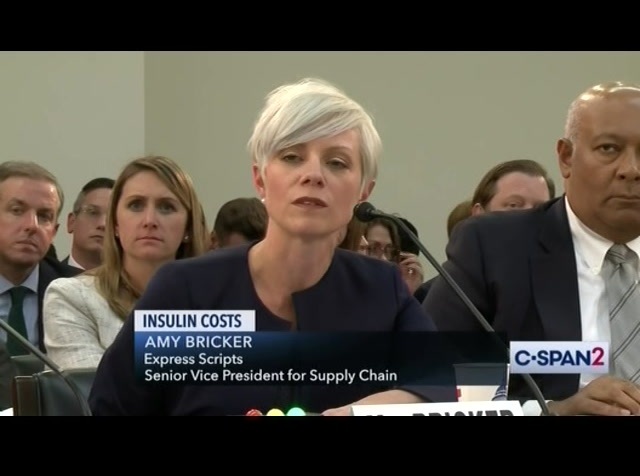 >> ms. bricker, with the express scripts come you guys came up with no more than $25 charge to customers. you just roll it up recently, right? how long did it take you to develop that? >> we've been working on it for a few months. >> as the companies on the agree tove they participate with you? >> yes, they have. >> it took you two months to come up with that. how are you able to offer that? >> in collaboration with the manufacturers as well as in collaboration with plan sponsor sponsors. >> when a patient qualifies for your programs, how long do they typically stay on those patient assistance programs? >> it varies really by patient and programs so they had renewal times but it could be one year, three years. >> do you know what the average patient states are broken? >> i really don't know what that is. >> our separate foundation doesn't so we don't have that data. >> okay. i yield back. thank you so much for your time. >> thank you. 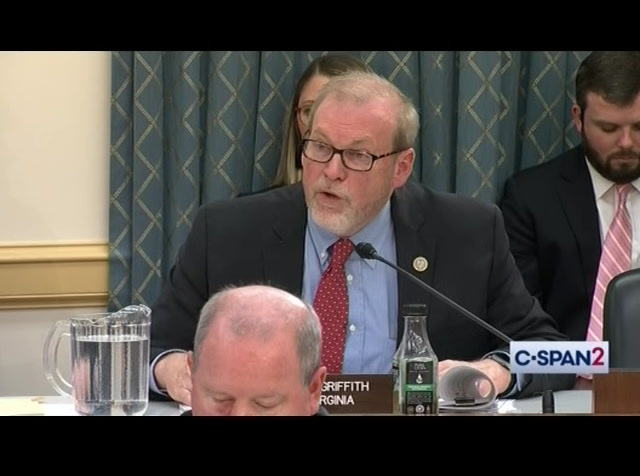 the chair now recognizes the gentleman from new york. 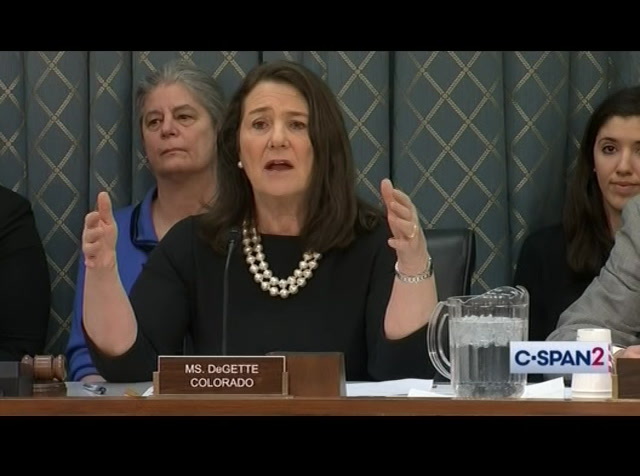 >> thank you, madam chairwoman. 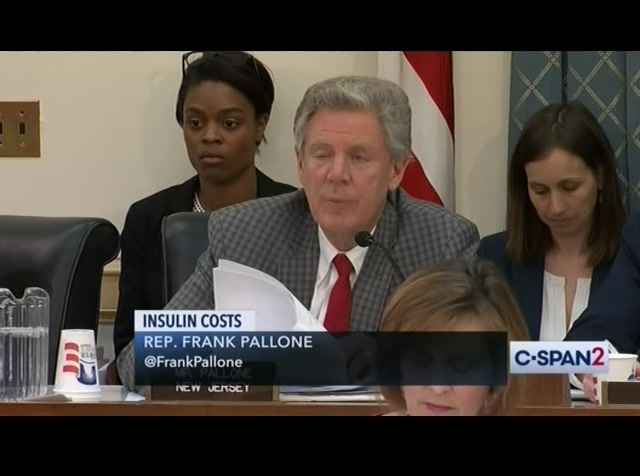 like to begin by asking about a number of simple yes or no questions are during a hearing last week patient advocate gail testified against her doctors orders she had rationed and diluted afo bottle of insulin because she couldn't afford to pay the $346.99 it cost her per month.h. are you awarelu of stories like yoursbe looks we will start with you, mr. mason go cross with yes or no. >> yes. >> yes, we are. >> yes. >> yes. >> yes. 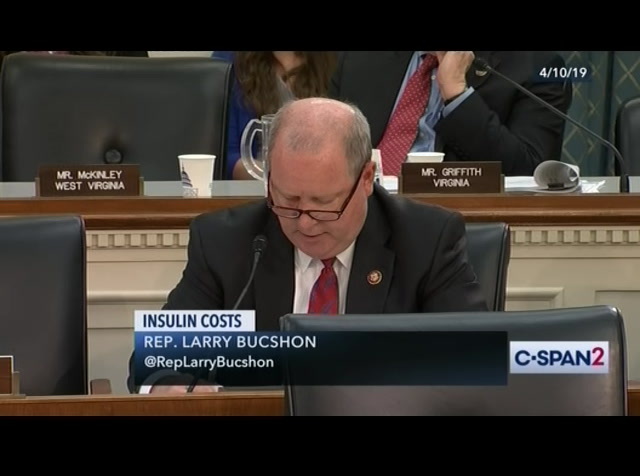 >> have any of you personally ever had to ration a pile of insulin? >> i have not. >> i have not personally. >> no, i have not. >> i have not. >> i have not. >> no, and no which it. 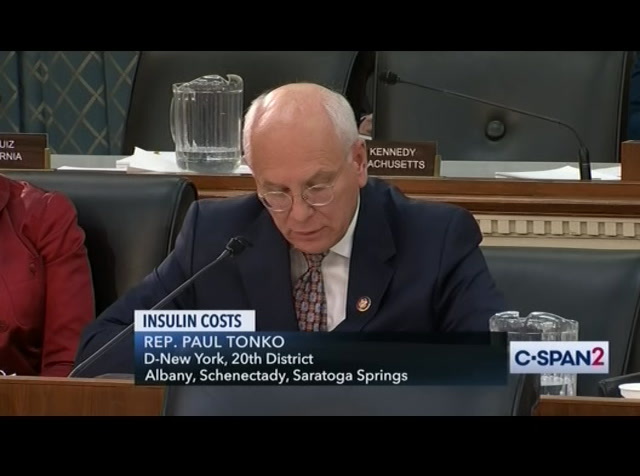 like rebates and list prices and patient assistance programs, but the reality is that when i go this weekend back to my hometown the amsterdam new york there will be people in my community that are in the hospital putting their lives at risk because they're so desperate for this medication that they are priced out of themhe that they delibere let the blood sugar crash just so they can get free samples of insulin on their way out of the door. 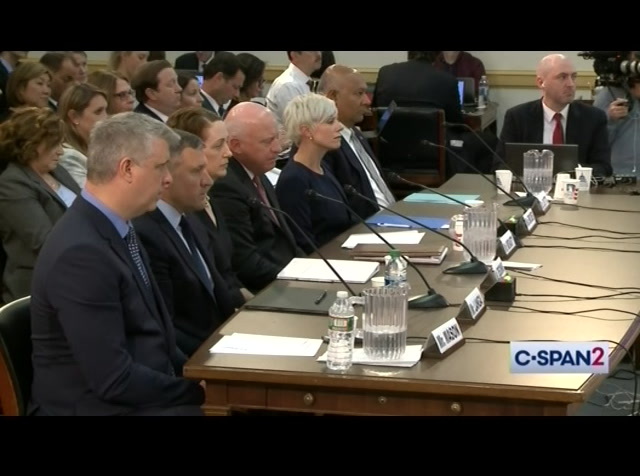 regardless of where you in the blame, the system as it exists now is horrendously broken and the companies represented at the witness table are benefiting while patients across the country are losing. that is unacceptable and we need answers. 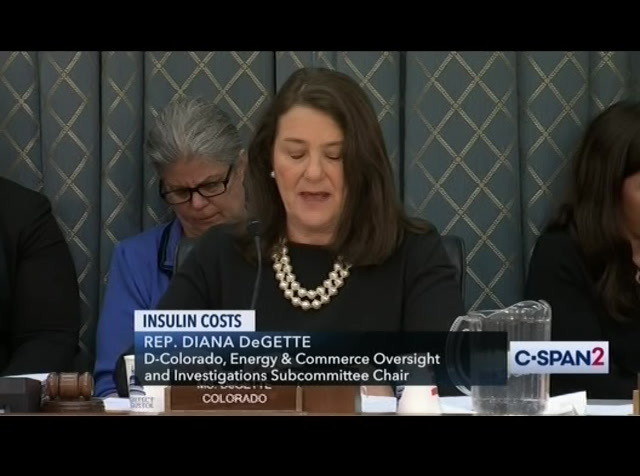 last week in testimony before the committee we heard from the endocrine society that in 2017 expenditures for insulin in the united states reached some $15 billion. 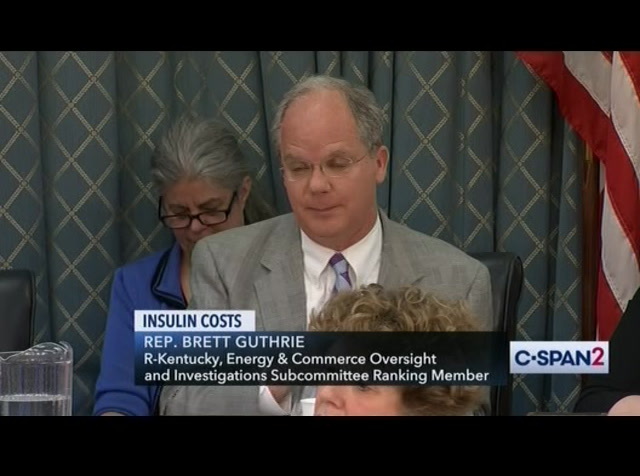 they also told us that three of the top ten medication costs were for ali type of insulin. where is all this money going? let's start with you, mr. mason. subsidize other parts of the system. >> so the system became far more complex over time. is that? this system became complex and rebates generated through negotiations with pdm serbian used to finance other parts of the healthcare system. 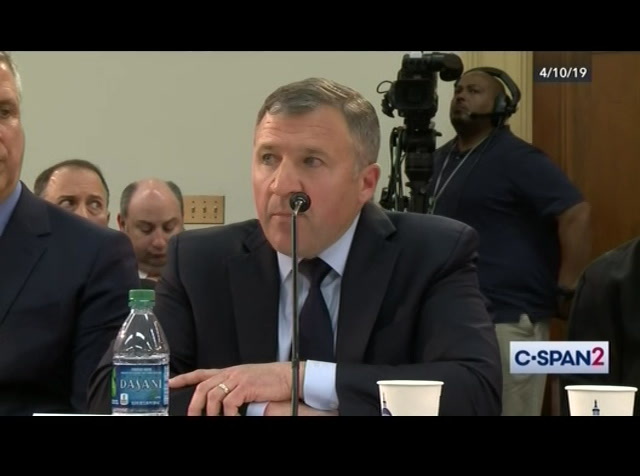 >> did we extract rebates from the system, what happens? >> if we move to a system we support the rebate rule. then we would be able to lower our list prices, but we need to ensure. >> no. 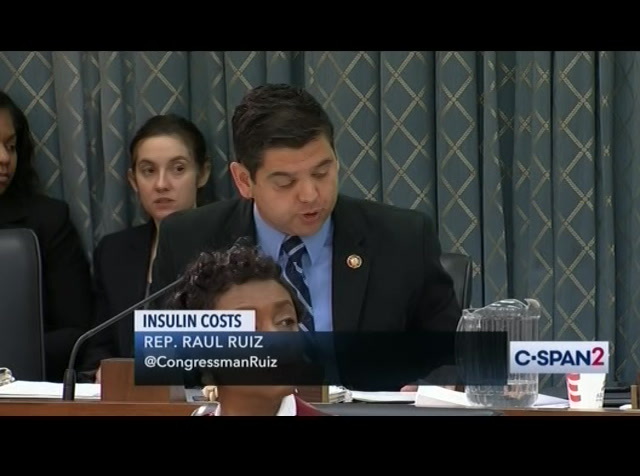 i just want to know if we remove the rebate, i think you had. 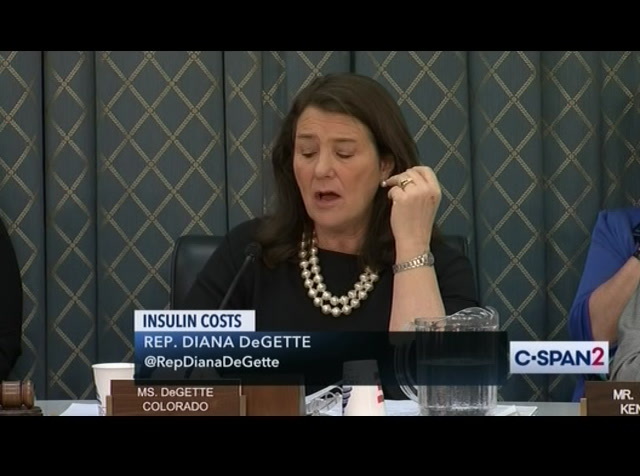 >> if you remove the rebates, their discounts, there is no one advocating for the patient and the plan sponsor to drive discounts and affordable. the rebates are discounts. it's a volume discount. 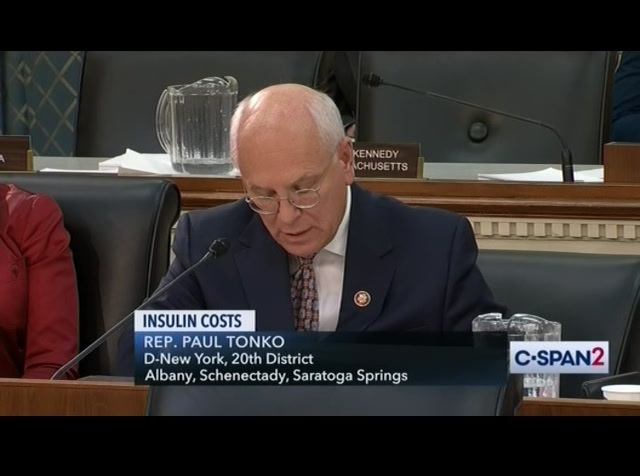 of america, the government, health plans, what need we negotiate for them is transparent to them. 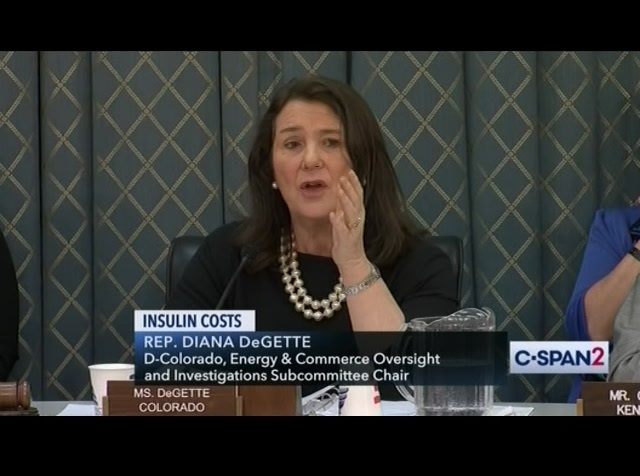 >> so we can track the list price and we can see the rebate and then we can see the net price and then we can see the savings that you pass along to the consumer, that's all completely transparent to the public questioning. >> is not transparent to the public unless they are our patient. but. >> should it be? should it be trade secret? is not the problem proprietary. >> the reason i'm able to get the discounts and came from the manufacture. >> it's a secret. >> because it's a secret. >> what about if we made it completely transparent. who would be for that? >> we would support transparency along the entire chain. that's the important thing if we have transparency along from the list price all the way through to patients. >> to all support that? >> absolutely not. >> you can't, because then it will end up hurting the consumer. >> will hurt the consumer to have transparency. >> will hurt the consumer because -- >> i don't buy it. i think the system has been built that allows for gaming to go on and you've all got your talking points, you have said that you want to guarantee patient access and affordability, at least ten times. which is great. but, there is a collaboration going on here. i know there is this going on but the system is working for both of you at the expense of the patient. don't tell us about the wonderful charity prices that you give and then you do get tax breaks on assuming, contradict me if i am wrong. when you give charity care to people. i believe that is a tax-deductible kind of item for you. i'm not hearing anybody contradict that. i resent that very much. because then everybody else is still paying those very high prices. so, just know something is going to happen here if you don't decide in your own interest to lower those prices so people don't have to die. i yield back. >> the gentleman from california, mr. peterson is recognized for five minutes. >> i've heard a lot of discussion. it's been very -- for me. actually, i don't want to blame you for a system that we have set up here that encourages this bizarre incentive. the fact is, it's a system that incentivizes people to charge higher list prices so they can get give rebates to give them access to customers. i'm a believer in markets, someone called this a free market. it's really not. i don't think we should suggest that this is the type of competition that will take per care of our problems. what we have here is what economists call a market failure at best. that's when it's appropriate for government to take action in a capitalist system. i think most people agree with that. i think that's what were going to see. 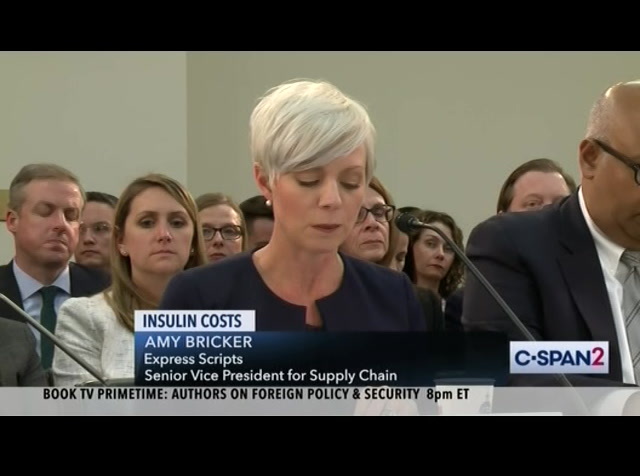 we are going to have to take out the incentive to charge higher prices so that you can get the customers had no knows what the real prices are. that is not accurate. >> yes. >> and manufactures pay a higher fee, rebate if list prices do not increase above a certain percentage in the contract year? for example if they don't increase their list price above a certain person that they may have to pay a higher fear rebate for that drug. >> i'm not aware of that. 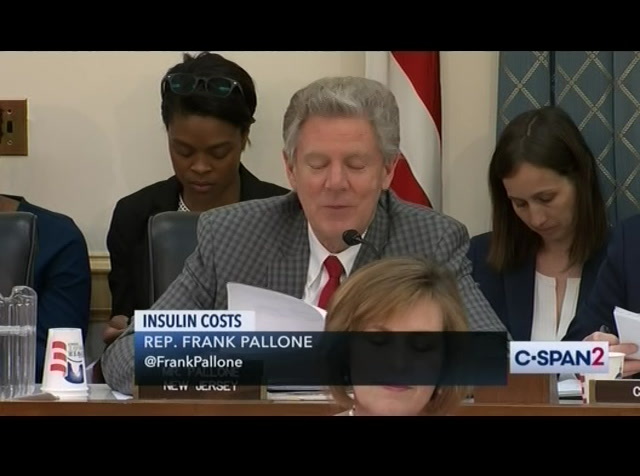 >> and manufactures pay certain rebate amounts even if they decrease their list price? my.is if you have a list price and the company says were going to go down to hear in the rebate was based on the higher list price, does that amount stay the same question right. >> i'm not aware that. >> the same question, you have contractual otherwise demanded manufacturers give advance notice of list price decrease question were. >> know. and the manufactures pay higher fee of list prices do not increase above a certain percentage of that contract year? >> no. >> and manufactures pay a certain rebate even if they decrease their list. >> no. >> we hear that they do. >> same thing. do you have contractual relationships that otherwise demands manufacturers give advance notice of decrease in the list question were. >> no. >> the manufactures pay higher fee if these prices do not increase? no. >> and manufactures pay certain rebate amount even if they decrease list? >> no. >> we are all about net price. 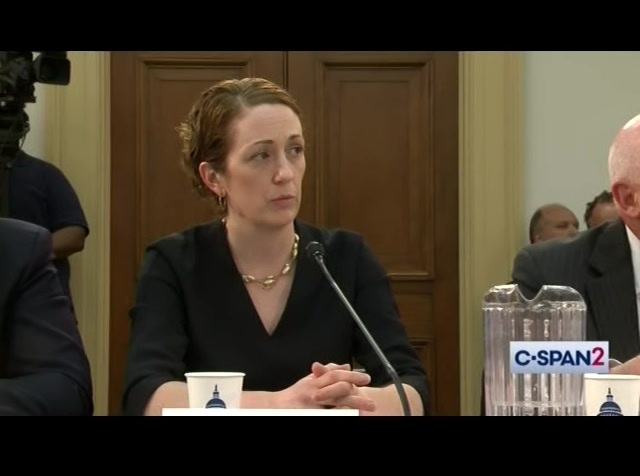 >> i'm going to focus on the 340b program. i've been an advocate for reforming that program. 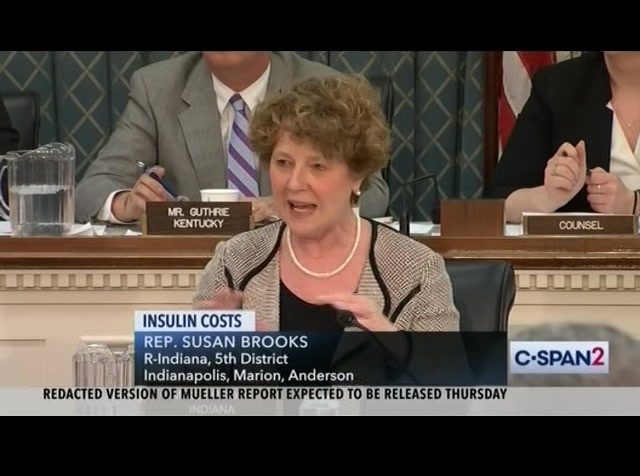 information that notice provided indicate many insulin products are at penny pricing and the 340b program. 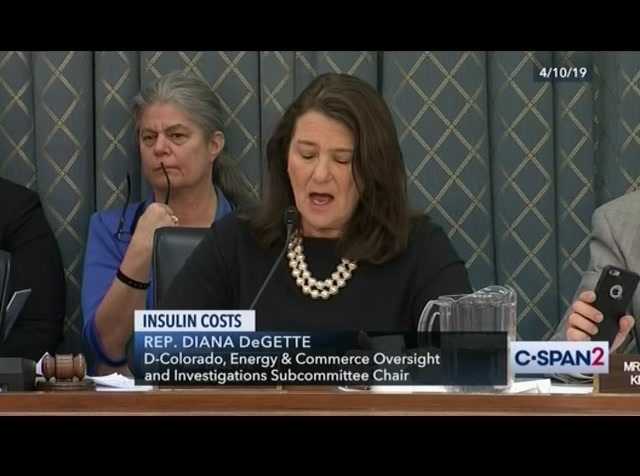 information they provided the committee show that for one product at penny prices the number of packages provided to entities increased from just over 270,000 packages in 2014 to over -- packages in 2018.
more than 172% increase in the number of packages supplied to 340b entities. 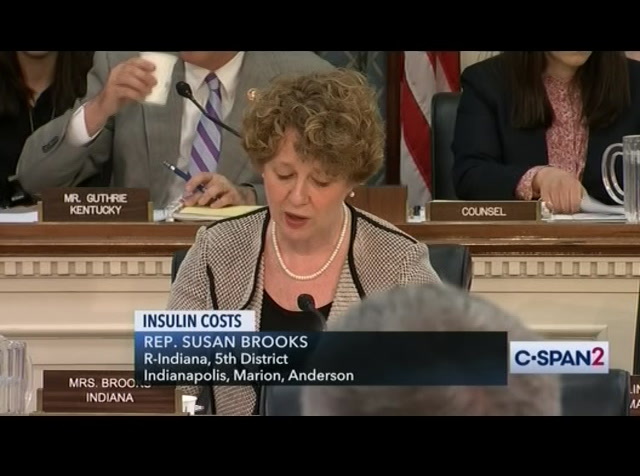 many insulin products saw increases in the number of packages sold the program during this period. can you explain the impact this program has had an orders pricing in the private commercial markets? >> we have over 18000 facilities at this., it is a penny pricing, is literally 99.9%. packaging is i believe as you reference it. it has been going up. the question is, the influence on the commercial market. >> because of the penny prices and the volume has gone up dramatically has that had an effect on the overall pricing structure and the rest of the marketplace? 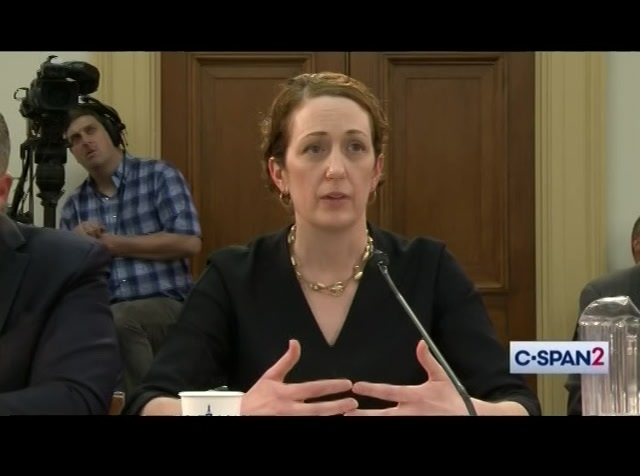 >> the challenge has been the 340b entities and who actually gives the designation and not. that is been more of the challenge. >> mr. mason? >> same thing. 340b has dramatically expanded as we know. >> obviously it does take away our net sales. if those are legitimately helping individuals that need that help, we are finding that a product is going. >> quickly, amount of time. 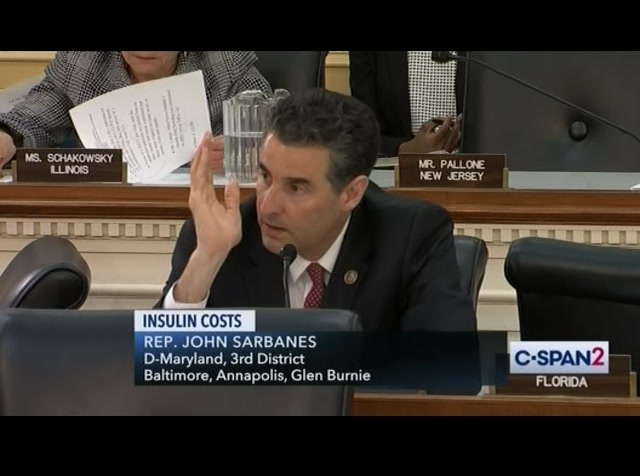 >> i think the issue is heavily discounted products that go into the 340b system. 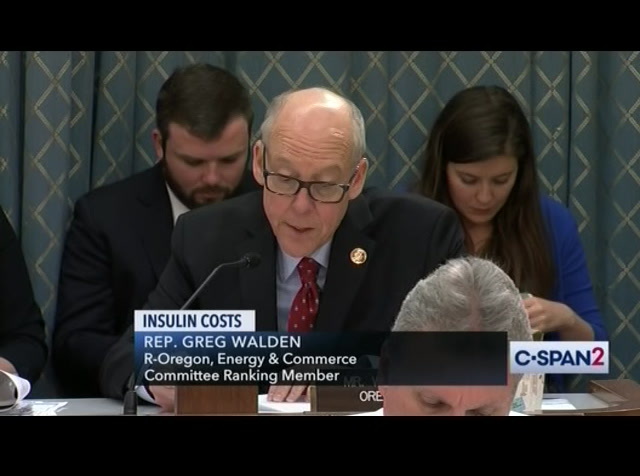 those heavily discounted prices making their way to patients? 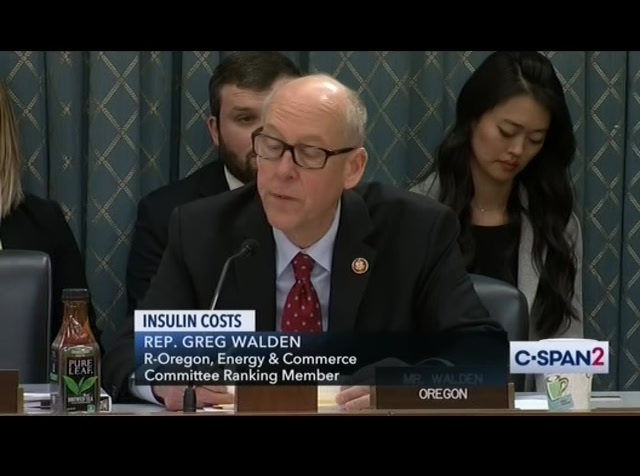 >> with your indulgence, in a 340b program i believe based on this subcommittee that was released last congress we need to seriously look at and reform the 340b program so that it continues to exist for the hospitals and patients that need it. but add a degree of transparency because it is spiraling. thank you. i yield back. >> thank you. 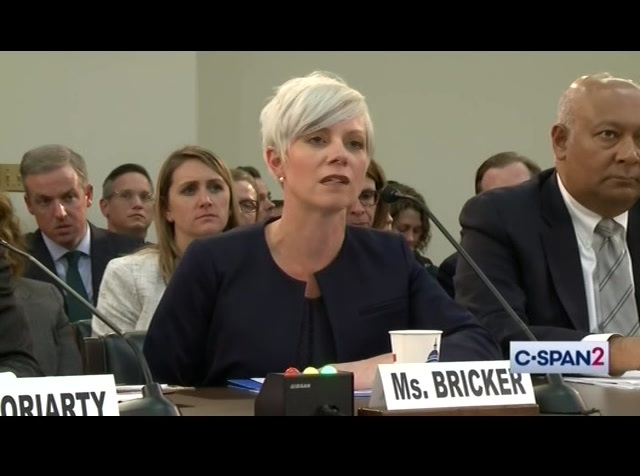 we now recognize the very patient woman from california for five minutes. >> thank you very much. i'm sitting here and i've been hearing this back-and-forth for the last couple of hours. the way i think i would summarize this is, it sounds like we are playing a middleman, it just sounds like were playing a middleman for prescription drugs to be on a preferred list. thus not just to put all the blame here, but then these list prices have been skyrocketing when we ask about pricing we hear back from the drug companies we hear, the net price is actually declining. the last time i checked i think willie was doing pretty good. wouldn't you say so mr. mason? why don't you tell me what the revenue was for this coming year what is lily's revenue this coming year? >> $21 billion. shirt. 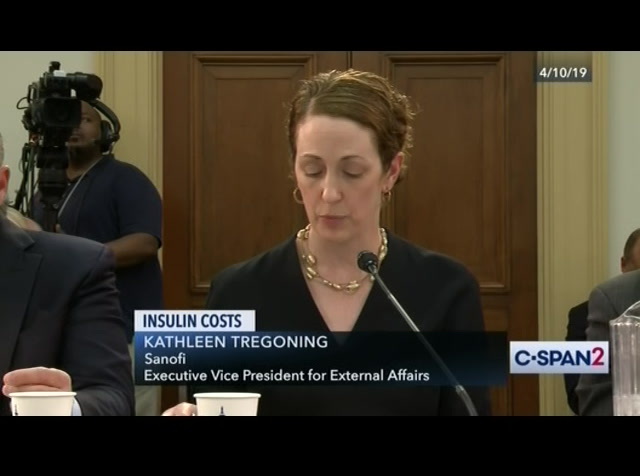 a lot of people who probably cannot afford to pay for their insulin. do you all recognize that your pricing policy and your system is causing people to die every day? do you all recognize that? mr. mason, do you recognize that? let me just go down the list, yes or no do you recognize this? 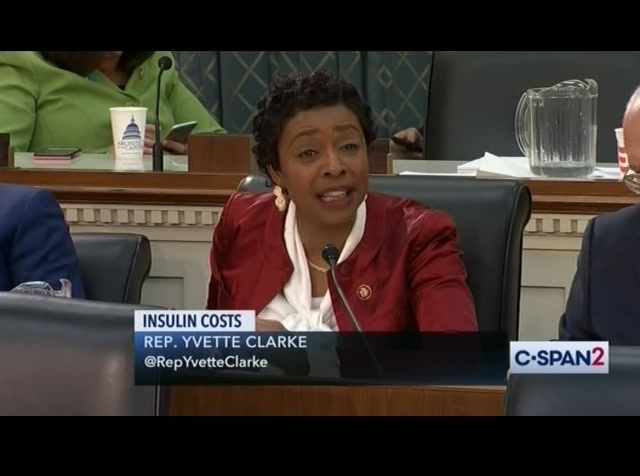 >> we don't want anyone not to be able to afford their insulin. >> i understand that. you recognize this pricing system and model is causing people to die? >> we need to do something about it collectively. >> that's es. >> we recognize the model is certainly a challenge, yes. >> and you are playing a role in that model. let's not mix any words here. 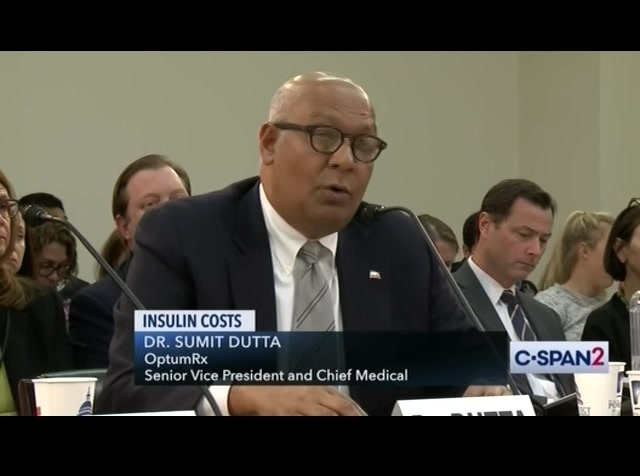 these companies in the pbmc are playing a role in this model. 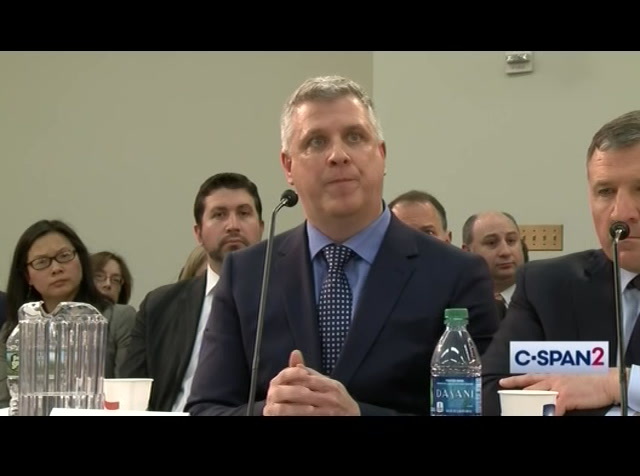 that is why we are having this hearing. to get to the bottom of it. others? and so, this is where congress has to step in and do something. 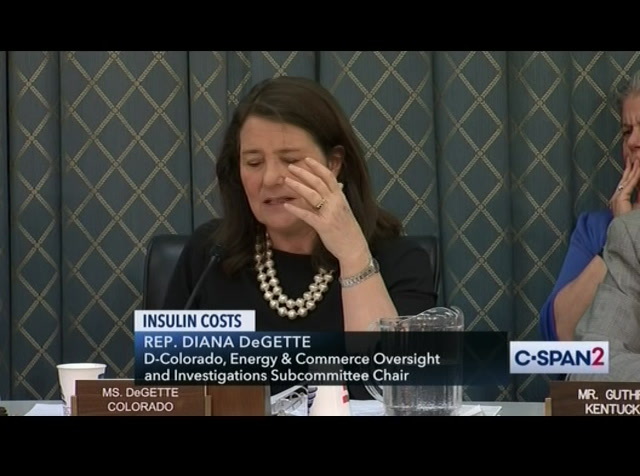 it's because of profits, it's because of greed, the american people are tired. and when people die, when people die and that is what is happening, make no mistake about it. we hear about it, the country hears about it and it is outrageous. it is completely outrageous. no know. 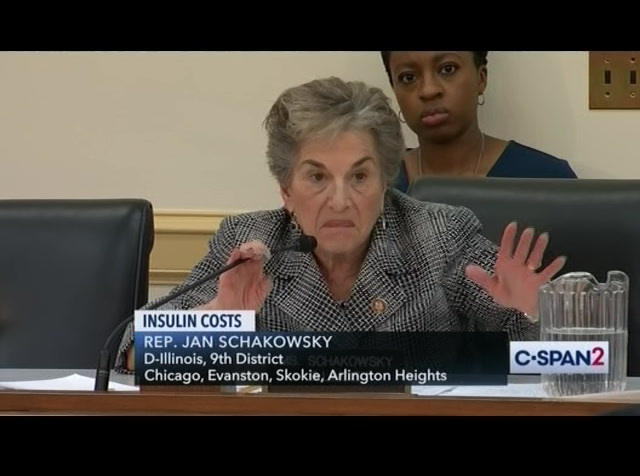 . . do you support medicare being able to negotiate prices? >> prices are getting better. proposing in a way of doing away with it and discounts at the sale, that will happen. we will make sure it happens. that will bring more transparency to the system and we will not stop there. >> thank you. i was just saying, i never thought i would see this, he was channeling him. [laughter] congratulations. i nowu want to recognized you r closing questions. 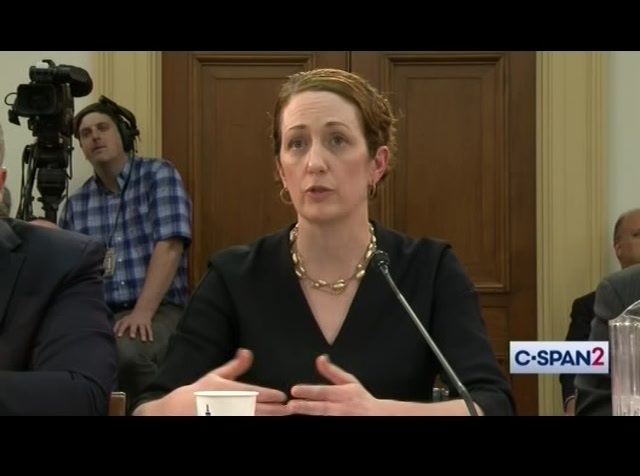 >> when the chair and i were discussing having a hearing, we saw it was a problem. i know it's different than 100 years ago but we had a lady before, a doctor and physician from yale that said the same incident from 90s than it is today. it's moved forward and we want to to look at the entire system, one drug that affects all. here's the thing, the people who are suffering the patients. 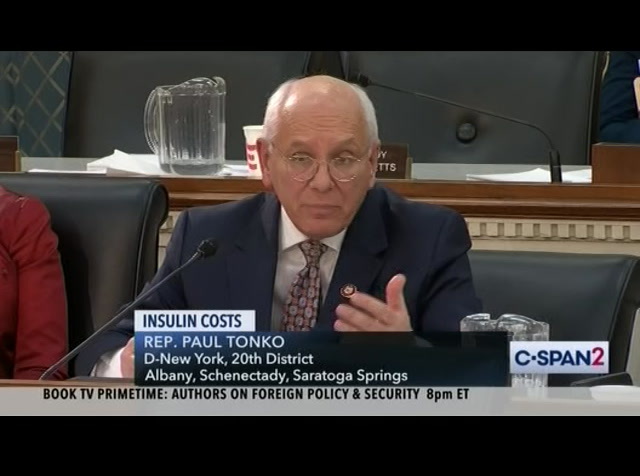 the case of insulin, the people were suffering are people who need insulin every second of every minute of every day. or they will die. that's the issue we have here. i now, having done this investigation last year, with my colleague from new york, tom green and snow doing this investigation, i think i have a pretty good grip. i think the members of this committee are getting a better grip of what's going on. 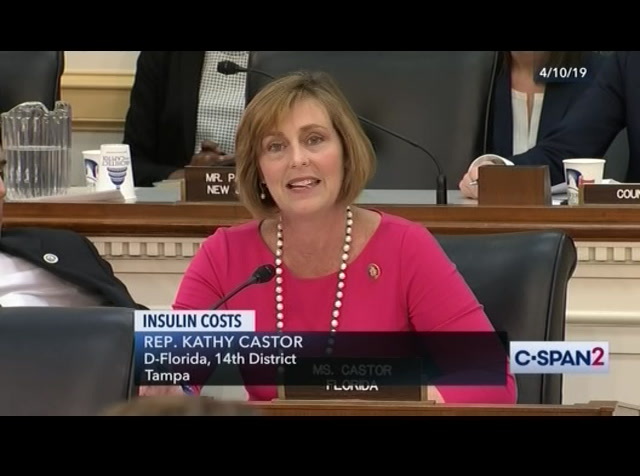 what's going on is a system has grown up in this country where we are continually -- it's a smoke in the system where we are continually increasing the list price of insulin in order to try to do negotiations but somehow it the price of insulin down. list price, there are people paying list price. 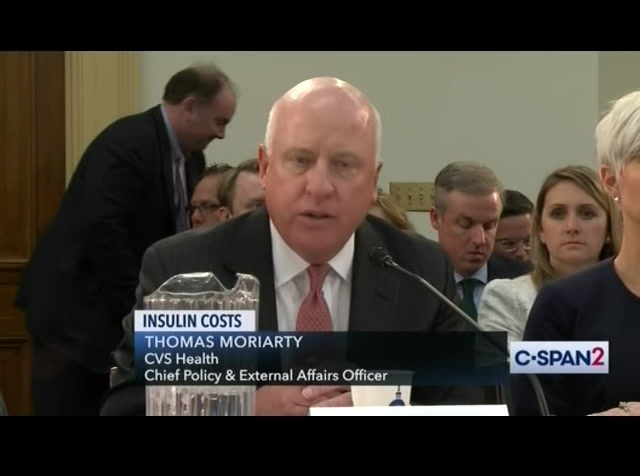 the people paint list price are the people who have highd deductible plans, who have to pay for the list price when they go in toar the pharmacy in their deductible. 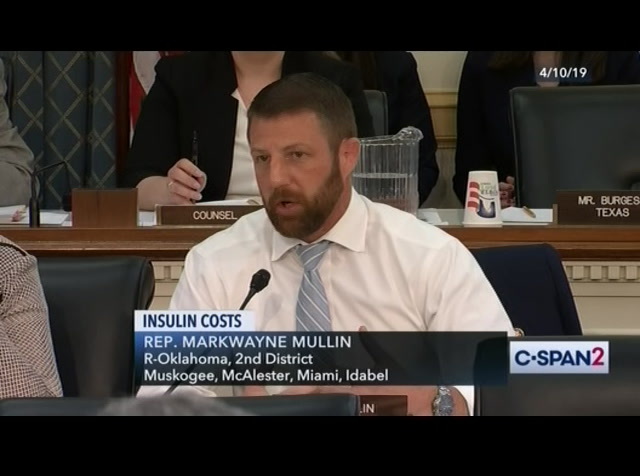 the people who are in the whole of medicare, and the people who are uninsured and i know all of the, everybody here, ppm and pharmaceutical companies all have the efforts to give cheaper insulin to people like this. 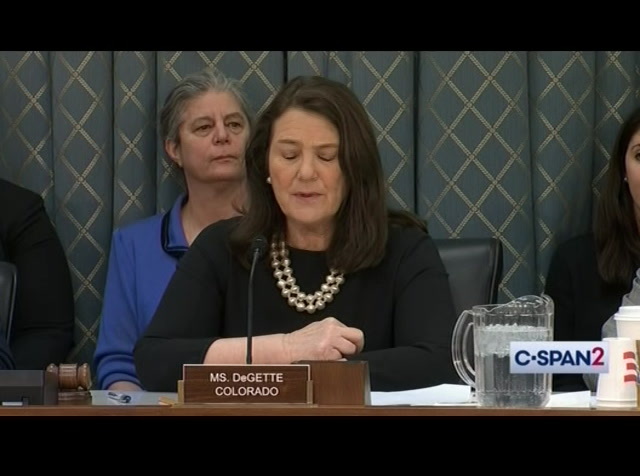 going to tell you, the lady i talked to in denver, she didn't know how to get that incident, she had no idea how to get it. 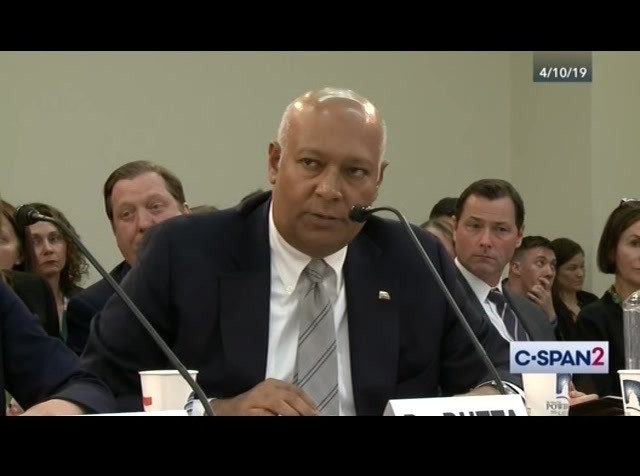 our witnesses last week said many people in that situation don't. it's not a solution to the problem, it's just a temporary band-aid. it's one we have to stop with the whole sale innovation. let me say finally this. 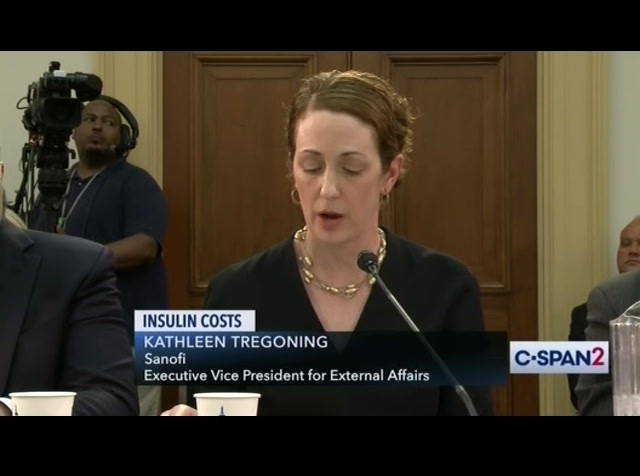 insulin two diabetics at a cost they can afford. we are going to do that as quickly as we can. as you heard, we're having an ongoing investigation here, we are prepared to talk to youas n and we are prepared to bring it back july or september to talk aboutt the progress we've made. it's not optional it will happen. to thank you all again for coming today and we are not going to have any more testimony but i want to thank you for coming and i want to thank you for being part of the solution and not continuing part of the problem. in closing, ii will remind members that the committee has ten business day to submit questions to the record. 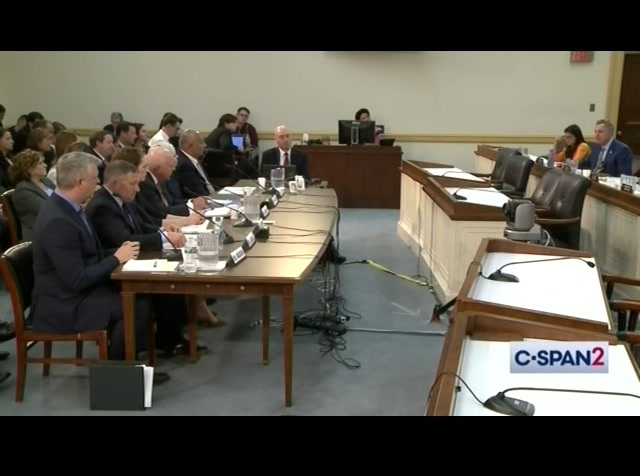 i asked the witnesses agree to respond properly to receive any and with that, we are adjourned. 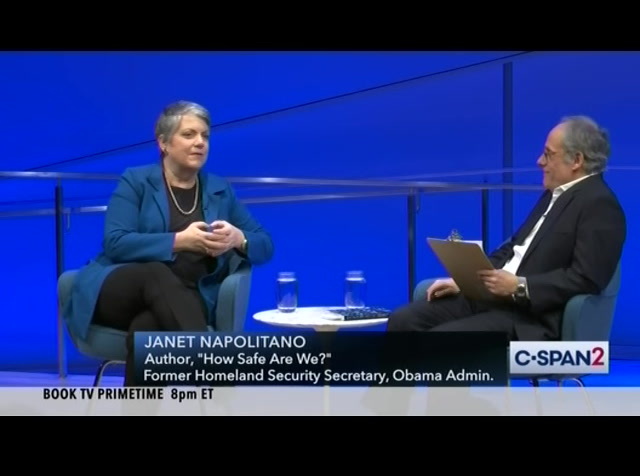 [inaudible conversations] [inaudible conversations] [inaudible conversations] >> coming up here on c-span2, mexico's minister was in washington d.c. recently on his country's political and financial future and treasury secretary stephen mnuchin the international financial system, he is also releasing trumps tax return. 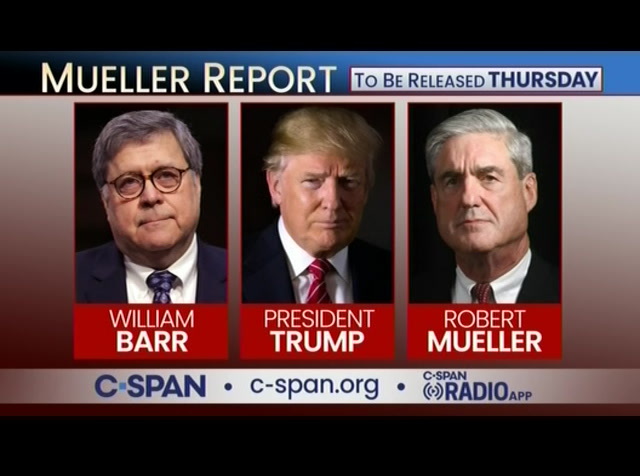 that's today here on c-span2. 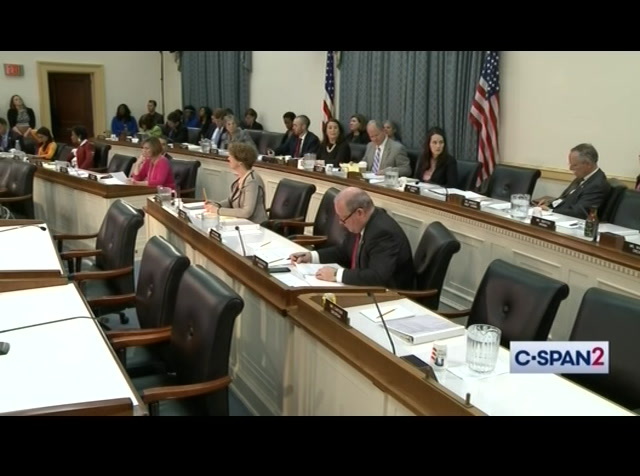 booktv is in prime time this week our congress is on break. 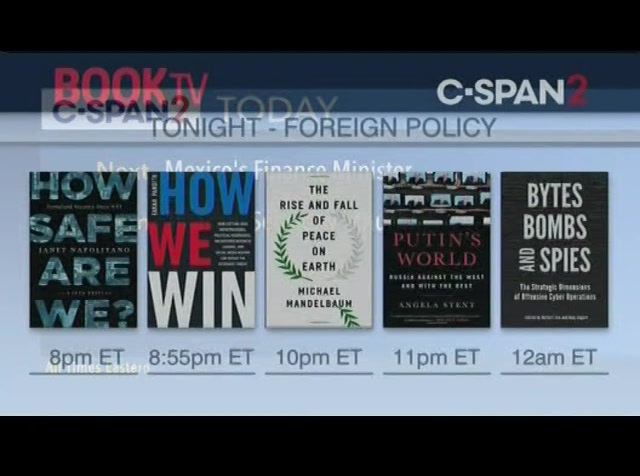 we're featuring books on one policy and national security beginning eight eastern with former, security secretary. in her book how safe are we? 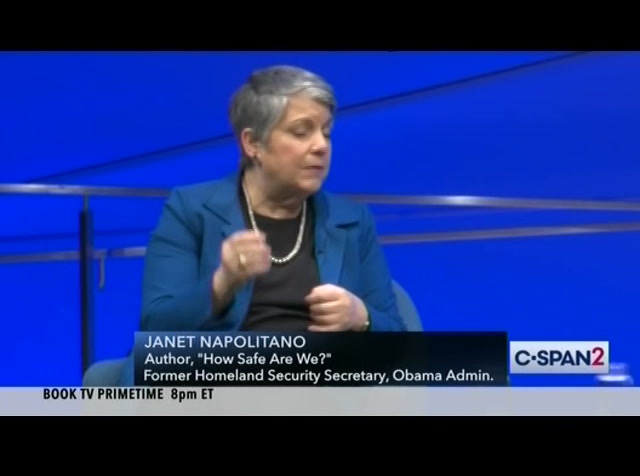 she talked about dealing with the seven quarter after 11 and concerns about terrorism. >> what we had to protect was the notion that trade and travel still occur, mexico as arizona's feeding trade partner that we couldn't just shield off arizona from snore which is the southern side. 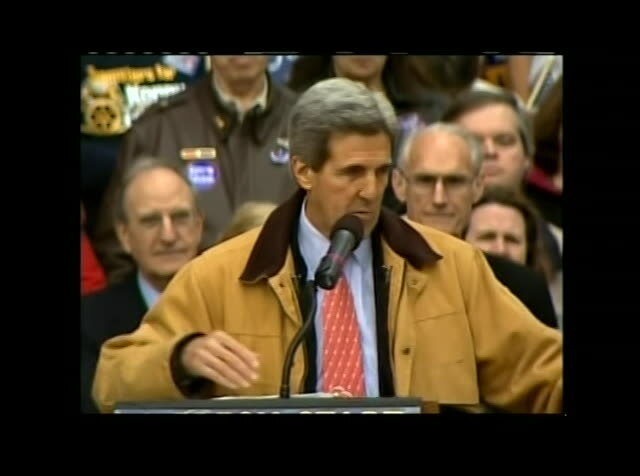 when i was governor of arizona, i would say show me a 10-foot long and i will show you an 11-foot ladder. or a tunnel or something else. the plain fact is, we cannot seal off 1940-mile border, it's a gigantic area. it's a region where a lot of people live, both sides, a region where there's a lot of trade and tourism, families who live on both sides. 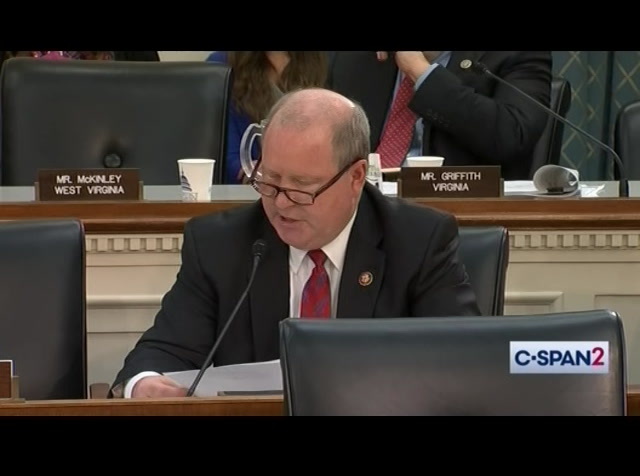 the border is very diverse geographically, very diverse, private land, public land, indian land, all along the border and so really the border should be thought of more like a zone. 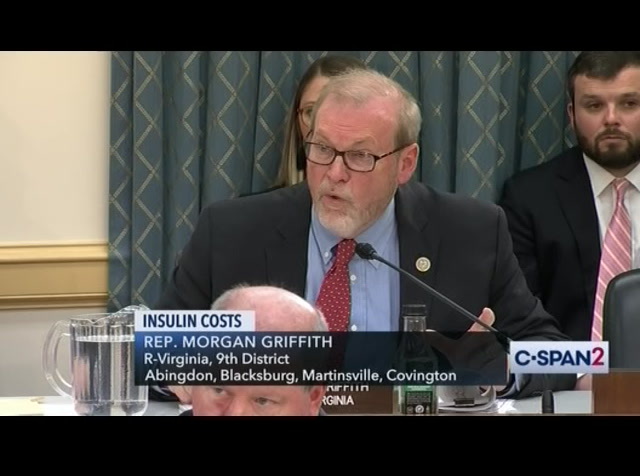 During a hearing before a House Energy and Commerce Subcommittee, pharmaceutical executives faced criticism from lawmakers of both parties on the rising costs of insulin. 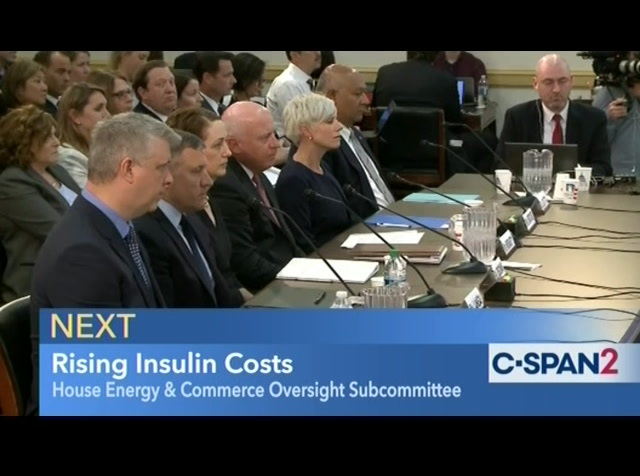 For more than two hours, committee members repeatedly asked the executives why there's a lack of affordability for the life-saving treatment. The executives acknowledged the high prices and outlined programs available to patients for affordable insulin. 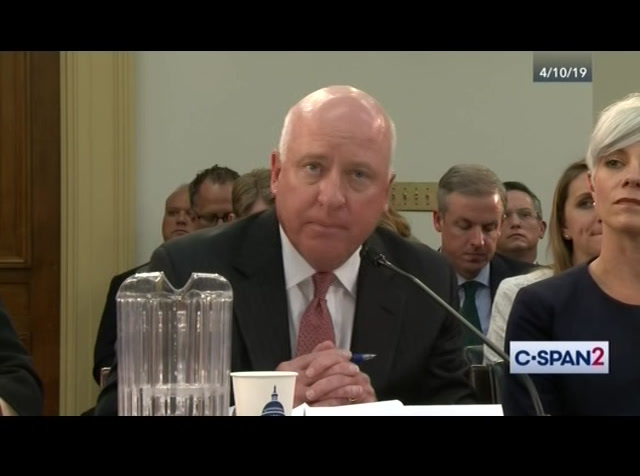 They also offered up recommendations on what Congress can do to help fix the pricing structure & market competition issues. 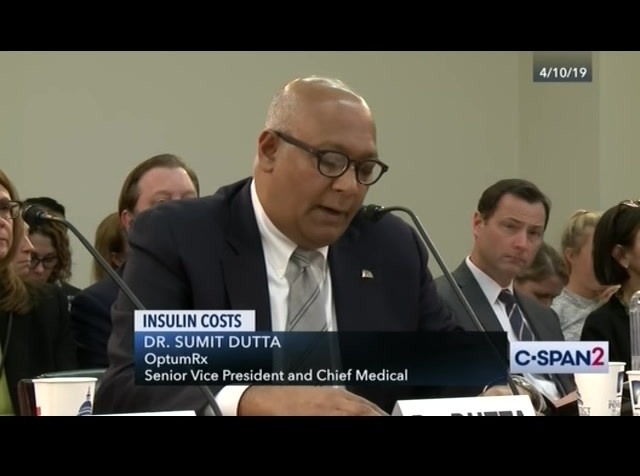 The executives who testified came from Eli Lilly, Novo Nordisk and Sanofi.